Our next guests are Jessika and Jenifer representing San Marino this year who are very excited to be part of the Eurovision this year: "I am so looking forward to be on that stage and give my best to transmit our message and emotions and of course delivering a great show! It has always been my dream that now is becoming true, thus I am truly and honestly happy and looking forward to it" -Jessika. "It's such an amazing experience so far and excited for everything else that is ahead of us" - Jenifer. Together they will perform their song "Who we are", which has an important meaning for them as Jessika told us: "Who We Are is a special song where the main aim of the song is to show the human race that we should appreciate each and every human being for his or her uniqueness. Life experiences make people different and being diverse is a beautiful thing and we should celebrate it. Not bullying it and put people down for their differences. Unfortunately I have been bullied, not only at school but on various occasions and it has left a mark on me and my character and who I am today. On those occasions, I felt really hurt and weak and even my family had to go through difficult times because of it and I don’t want anyone to go through what I went through. Even worse, as a teacher I do my very best to take action, as a singer I want to reach out to as many people as possible to create awareness and to start acting now not be bystanders and most of all accept everyone as who they are and appreciate Who We Are." Both of them have competition experience which they are using for preparation for Lisbon: "Yes, I think that both are sharing and can share and learn from each other, as a teacher I believe that life is always a learning process and thus you never learn enough, there should always be an eagerness to improve oneself and appreciate the fact that you can learn from anybody and anything that crosses your path. Having Jenifer on my team has taught me one of the biggest lessons that women can truly come together and when they do, incredible things happen!" - Jessika. There is also a music video planned and there might be different versions of "Who we are". However as we were interested if they feel extra pressure because San Marino didnt make it to the Eurovision Final the past three years Jessika say that reaching the finals would be a blessing and Jenifer added: "I wouldn't say that it adds some pressure, though of course you keep it somewhere in your mind. I believe that we have a brand new page in front of us. We have a good song with a strong message and a wonderful team. I think you should keep the pressure away so you can keep focused on your project." Both singers state that they currently are keeping their focus on the Eurovision leaving other until after the contest. Jenifer and Jessika are very excited for everything else that is ahead of them. Read the full interview on our Facebook page. Representatives of Moldova DoReDos have attended LRT morning show Labas rytas, Lietuva. According to Marina Djundiet, they have already been able to see various cities of the country. "We walked through the Old Town of Vilnius. It has some kind of magic. We really like history and it is in the Old Town that you can see the history of Vilnius. We examined the country through the window of the car going from city to city. We were in Trakai - very beautiful there. It was very cold, but we still went for a walk, it was interesting, "said the performer. Lithuania is not the first country which Moldovan singers are visiting. According to them, their promo tour began immediately after the national selection finals. On the night of the next day they went to Romania, where the national preselection took place. After Romania followed the Baltic countries. According to the singers, their own victory in the national competition was unexpected. "There were no run-away leaders in the national final. Yes, there was talk about us, since our song was written by Philipp Kirkorov, but nobody could guarantee us a victory. We were happy to find out that we received the highest rating from both the commission and the audience ", M. Djundiet remembered the victory in Moldova. The performers do not hide that they feel some tension after Moldova's success in 2017 - SunStroke Project, with the song "Hey Mamma", finished in third place. This is the highest achievement of the country in this competition. "Of course, we are worried because we are compared to those great young people, the SunStroke Project. But we try to work every day, get a good result, create a good show. We strive for the fact that what we will show on stage is not worse than the appearance of SunStroke Project, "said Eugeniu Andrianov. Djundiet agrees with him: "Many say that after a good result of our colleagues, it's hard to achieve the same this year. I do not think so. This year, attention has already been paid to Moldova, and it seems to me that it will be easier to achieve a better result if we are well prepared. " Performers representing Moldova recorded their music video in Greece, Santorini. They have only one motive for such a decision - according to them, Moldova was cold at the time the video clip was to be filmed. In addition, their home country landscape does not have such bright colors as Santorini. Finally, Greece is close to them because half of the team is made of Greeks. "Santorini made it possible to convey the flutter, passion, brightness, positive and mood of the song in terms of climate and image," - convinced performers. Representatives of Moldova admit that this year a competition is very strong, but reserve the final judgement until they are able to see stage performances of other acts. "I like Israel, Czech Republic, your representative Ieve - her song is very beautiful. A lot of interesting songs, "said Djundiet, adding that she also enjoyed the song of Salvador Sobral, winner of last year, which, in the words of the singer, was not only beautiful, melodious, sincere, but also different from everyone else. "I hope that our song will also stand out this year and will reach the hearts of each spectator and listener," - the performer said. Performers recognize that their song has attracted mixed reviews. "Well, you know, different people have different tastes. We can not please everyone, and it's normal, "says M. Djundiet. 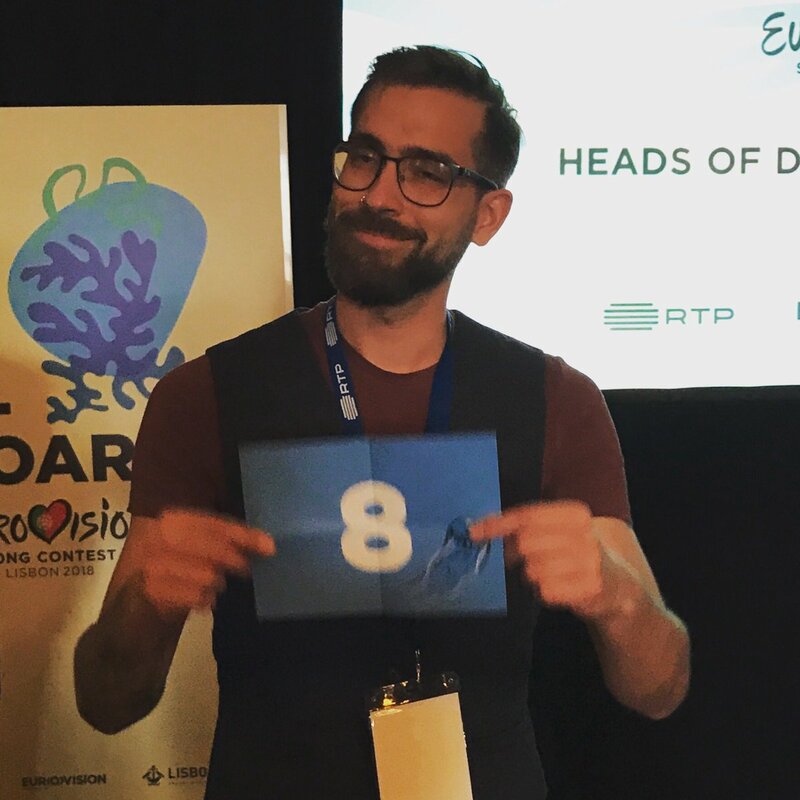 Sergiu Mita: "There is no established Eurovision format. We hope that we will show a positive, interesting presentation on the stage, and then it will be clear whether this song is suitable for the "Eurovision" or not. " 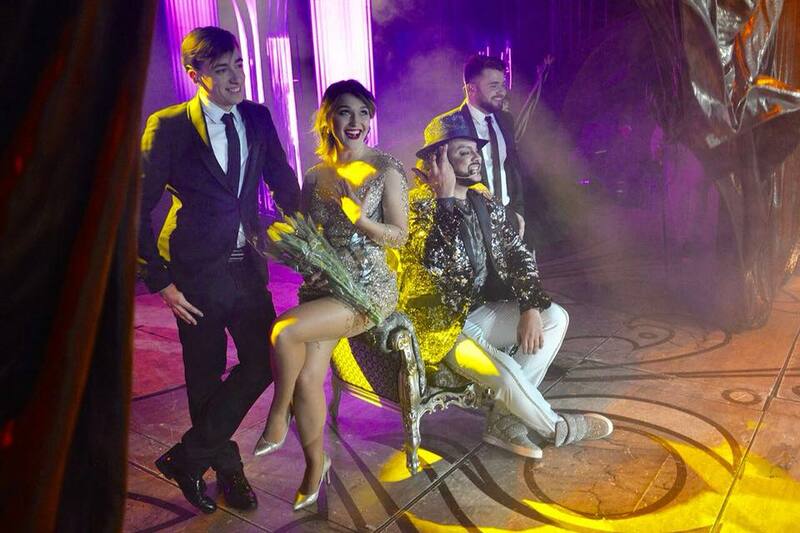 The performers claim that their appearance in Lisbon will be very different from what the viewers of Moldova saw in the national final. "This will be a completely different show. The first rehearsals have already passed. The performance has already been scripted essentially, it's just to work it out. It is fundamentally different from what was in the national selection - the performance will be very original, intriguing, playful, I think, nobody will not remain indifferent and it will cause a smile in the audience, "- says M. Djundiet. According to S. Mita, the director of the performance is Fokas Evangelinos, world-wide known. "This is a person who constantly participates in the Eurovision. He produced a show for Sergei Lazarev, Dima Bilan, Ani Lorak, Dmitry Koldun, Helena Paparizou and others"- the singer added that, to their knowledge, the type of show they will offer was not seen on the Eurovision stage before. ESCKAZ and @EurovisionCoverage Facebook start publication of the interviews with the participants of the Eurovision Song Contest 2018. Our first guest is Christabelle from Malta. Christabelle is preparing for her trip to Lisbon for Eurovision: "I'm thrilled to be representing Malta in Lisbon. This is such a great honour and I hope to do my country proud". On her road to the Eurovision singer tells: "I think it's such a special contest. Each time I took part I had a great time and it was magical to win this time. The final of the Malta Eurovision Song Contest, however, is only the culmination of many months' work, and I think the part I will always remember – other than winning, of course – is working with my team to bring 'Taboo' to life on stage!". The singer will be performing her entry 'Taboo'. 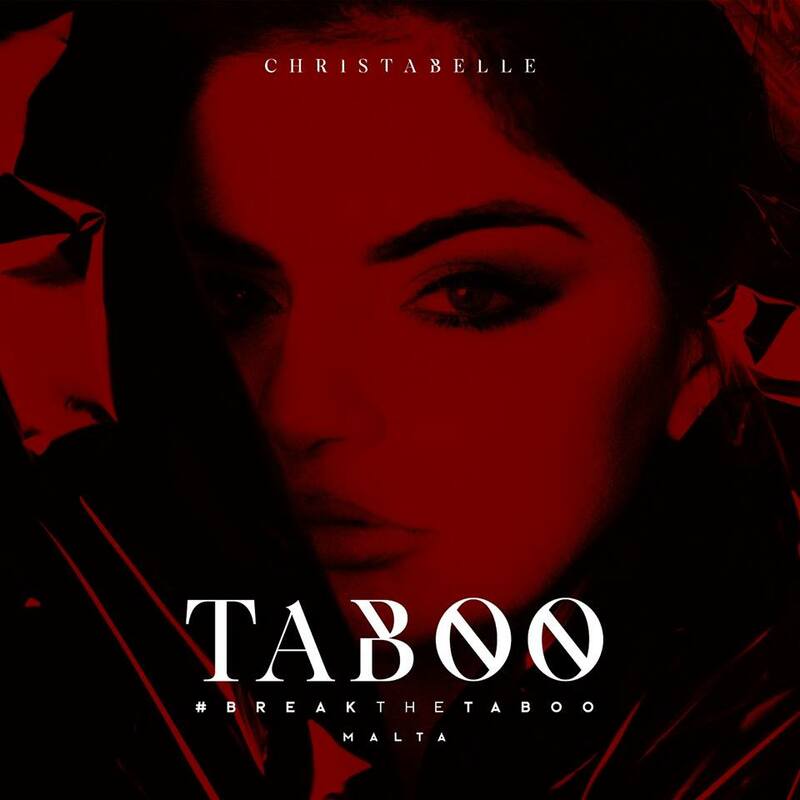 Christabelle herself describes her song: "It's about breaking down the taboos surrounding mental health, encouraging people to speak up, and seek help rather than remaining silent". She also tells the story of the creation of her entry: "As someone who has experienced this at first hand, I think it's very important that those who are feeling mentally or emotionally unwell are not shamed into not speaking up. I felt I was ready to bring my own experience out into the open. The lyrics were a team effort by myself along with Johnny Sanchez, Thomas G:son and Muxu. My artistic director, Steven Levi Vella, brought his vision to both the set for the final of the Malta Eurovision Song Contest and the official ‘Taboo' video (which was directed by Gordon Bonello and PBS). We're now working together on perfecting my Semi-final performance for 10 May". Christabelle explains the main message of the song: "I hope we all learn to be more accepting of, and open to talking about, mental health issues". The singer says that in the future it is possible to create other versions of the song in other languages. But now all forces are directed on preparation of scenic performance. She also shared with us information about her music video: "A great team worked on it and I was delighted with the result. There's no hidden message, though. I've been very frank about the message of breaking through the silence and removing the taboos surrounding mental health, and that's what the video is all about, too. The post-apocalyptic world in the video, I feel, lends itself well to what it's like to not feeling emotionally or mentally well and not being able to speak out". As long as the stage performance is kept secret, it will certainly differ from the performance at the national finals. Christabelle even didn't want to reveal the names of the backing vocalists who will be joining her on the Lisbon stage. "Like everyone else taking part, I am in it to win. Nevertheless, my number one priority is to do my country proud by giving my best performance". Christabelle told us a little bit about her postcard: "I really enjoyed making the postcard, actually! I get to ride a horse in a beautiful part of the Portuguese countryside, which I fell in love with… I can't wait to go back to Portugal, in fact!". Also Maltese entrant plans to take part in promotional parties: "The diary is being putting together now but watch out London, Amsterdam and a host of other places!". "A big THANK YOU to all the people who have made this journey possible. I am so grateful for all the messages I have been receiving and the discussion this song has started in Malta"
The singer is waiting for her trip to Lisbon and is ready to wave the Maltese flag proudly. Read the full interview on our Facebook page. Today, the Public TV Company of Armenia released the official music video for Sevak Khanaghyan's "Qami". It is now available at Eurovision's official YouTube channel. 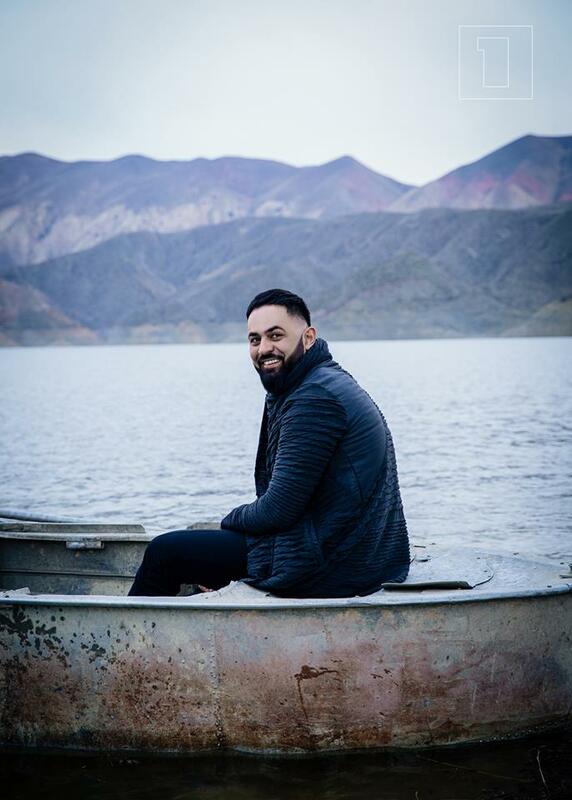 "Qami" was directed by Arthur Manukyan, who has previously worked on Betty's "People of the sun" (JESC 2014), Mika's "Love" (JESC 2015) and Artsvik's "Fly with me" (ESC 2017). The team behind the music video included DOP Suren Tadevosyan, stylist Aram Nikolyan and lighting designer Vahagn Miqayelyan. "When I first heard the song I instantly thought that the music video should reflect Sevak's inner world – his emotions and feelings. There aren't any excessive elements in the video – it is minimalistic, yet very expressive. I wanted to keep it simple and concentrate the attention on Sevak and his song" – said Arthur Manukyan, the director of the music video. Christabelle Borg, the representative of Malta at the Eurovision Song Contest 2018, and Eleni Foureira, who will compete for Cyprus in the contest, have already recorded their postcards in Portugal. "It was fantastic and I even made a new four-legged friend, Tofu, not to mention all the Portuguese people whom I met, and who were very hospitable. The postcard was filmed in a beautiful place in Alter do Chão and we spent two very good days there. In Lisbon it was also amazing, including the architecture and the food. Can not wait to get back there!" "The recording of the Cypriot postcard gave me a first taste (literally!) of Portugal and Lisbon. I had the opportunity to get acquainted with Portuguese cuisine and bring my "Fuego" to the kitchen, next to an incredible chef! I want to thank all the hospitality and enthusiasm and I look forward returning in May!" Amaia and Alfred will travel to the Azores in the coming days to record their Eurovision postcard. Specifically, they will go to the island of San Miguel, the largest of the archipelago and where is located the capital of the region, Ponta Delgada. This island is called "the green island" because of its meadows and famous for the beauty of its lakes. A paradisiacal and very romantic enclave that will help even more so that Europe falls in love with "Tu canción". Weekly online show #OTVisión which airs on Mondays at 17h will report live from Azores. Slovenian entrant Lea Sirk is also filming her postcard in Azores, city of Horta. The Eurovision Shop is giving away 3 sets of official merchandise and all you need to do to enter the competition is tell in the comments what your favourite entry from 2018 is: Facebook, Twitter, Instagram. Terms & conditions apply. Armenia's representative at the Eurovision Song Contest 2018 Sevak Khanaghyan has just released the teaser for the music video of his entry song "Qami". The music video for "Qami" will premiere on March 21. Serbian entrants Balkanika will be guests of BHRT broadcast "Konačno petak" today at 17:45. Today's broadcast of Stisni Play on MRT1 at 20:15 will be devoted to Macedonian entrants Eye Cue. Swedish entrant Benjamin Ingrosso speaks to Radio Sweden. Moldovan entrants DoReDos announced promotional tour with dates: 16/03-17/03 Kaunas, Lithuania, 18/03 Klaipeda, Lithuania, 20/03 Kaliningrad, Russia, 22/03 Vilnius, Lithuania, 23/03 Šiauliai, Lithuania, 24/03 Riga, Latvia, 25/03 Tallinn, Estonia, 27/03 Liepaja, Latvia, 10/04 Tel Aviv, Israel, 14/04 Amsterdam, The Netherlands, 21/04 Madrid, Spain. Eurovision version of Albanian entry Mall has been released. The Lisbon City Council has approved an investment of 5 million euros to finance the organization of the Eurovision Song Contest, which will be one-third of the total cost of the organization. 2.8 million of this amount will be transferred to the host broadcaster RTP under a contract to be concluded between the municipality, broadcaster and the Tourist Association of Lisbon (ATL). Resources will be taken from the Tourism Development Fund of Lisbon. Also, it became known from the documentation that the rent of the contest venue will cost 2 million 42 thousand Euros without VAT. 160 thousand will be the cost of the press-center rent. Both amounts will be paid by RTP. 150 thousand will be transferred to ATL for the organization of social programs and excursions. 2 million will be allocated for the promotion of the event, and the organization of side events - the Red carpet, the Opening ceremony and the Euro Village. According to the estimates of the municipality, the Eurovision Song Contest in Lisbon will be visited by 30 thousand tourists, of which 27 thousand will be from abroad. They will spent 25.6 million Euros in Lisbon, ie. each tourist averages 850 Euros. Additional information - Event page. 21/03 Armenia, 13/03 Georgia, 12/03 Switzerland, Moldova, 11/03 Montenegro, Macedonia, Israel, Russia, 09/03 Spain, Malta, Ireland, Austria, 08/03 Greece, France, Australia, 07/03 United Kingdom, Azerbaijan; 06/03 Croatia. Ieva Zasimauskaitė will represent Lithuania with When We're Old. Watch the show again here. On March 11, Channel One Russia presented "I Won't Break", the song that the Russian singer Julia Samoylova will perform at the Eurovision Song Contest 2018 in Lisbon. "This is a song about me. It's as if the authors did their very best to set my own thoughts and feelings to music. It's not so much a tender ballade as a song about strength," said the singer. Yuri Aksyuta, Head of the Russian delegation at the Eurovision Song Contest and Head of Music Programming at Channel One Russia, said: "We have a great performer, a great song and a beautiful show full of meaning. As always, we expect a lot from the contest that is very popular in our country. Russia is back!". The new song for Julia was written by the same international team of Leonid Gutkin, Netta Nimrodi and Arie Burshtein that produced "Flame Is Burning" for Samoylova the year before. Leonid Gutkin, who had previously written songs for such Russian Eurovision contestants as Dina Garipova and Polina Gagarina, said: "This is a very personal song. This is a song about Julia's strength that inspires so many people. The song mentions a castle built of sand that looks very fragile but in fact is rock-solid." The official video to the song was shot by Alexey Golubev who had directed the official music video and stage show of Polina Gagarina during the Eurovision Song Contest 2015 in Vienna. Even though details remain secret, Alexey said the general idea will spin around "a metaphor of emerging life, love and, most importantly, faith." Additional information - Russia page. The Israeli entry to the Eurovision Song Contest will be performed by 25-year-old Netta who brings a powerful voice, a magnetic personality and a unique talent for mastering the looper – an electronic vocal instrument. Netta delivers a fresh and contemporary combination of sounds and influences to the Eurovision Stage. 'TOY' was co-written & produced by the young uprising producer, Stav Beger, and one of Israel's top Hit makers- Doron Medalie, who has written "Golden Boy" (2015) and "Made of Stars" (2016), this being his 3rd entry for Israel. 'TOY' is a "Middle Eastern Pop Banger" which fuses together contemporary Pop, K-pop and Hip-hop with the contagious Middle Eastern sound & beat. The lyrics of the song focus on everyone's burning topic – the awakening of female power and social justice, with a simple and direct message – "I'm not your toy". The video-clip for the song was directed by one of Israel's leading producers, Keren Hochma, and it focuses on Netta, showing her as strong, independent and full of style. This year's entry is a co-production of 'Tedy Productions', one of the most prominent and influential content and production houses in the Israeli media, 'Kan', the Israeli Public Broadcasting Corporation and Israel's biggest media company with 3 broadcasting platforms and 'Keshet12', the country's leading commercial broadcast television channel. Additional information - Israel page. 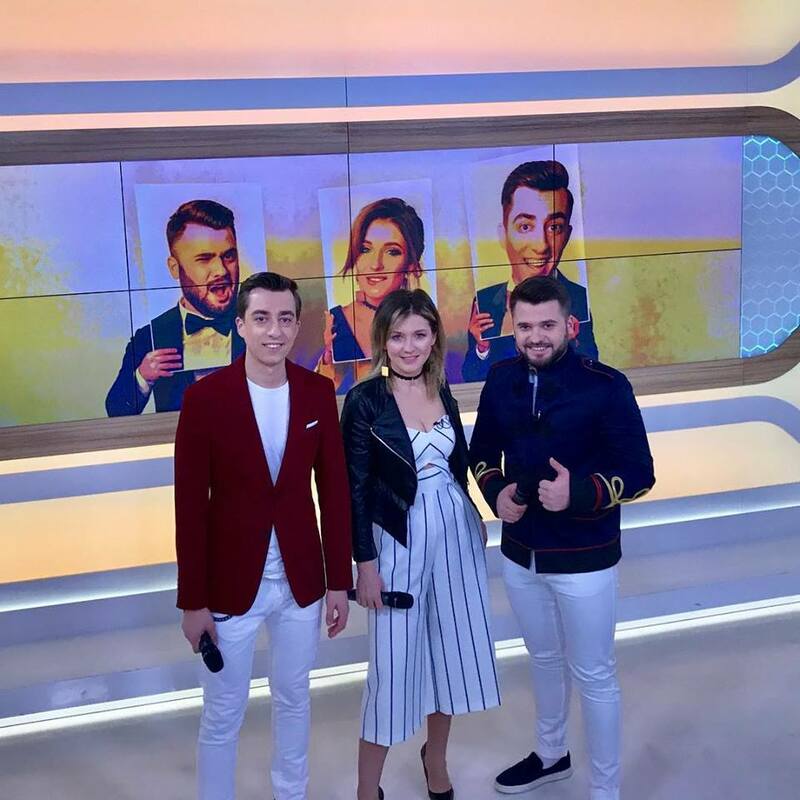 During the broadcast of "Voskresnoye vremya" news program at Far East of Russia was aired report on Julia Samoylova's preparations for the Eurovision 2018. You can watch it below and it contains few teasers of the song. Full version of her contest entry I Won't Break, written by Leonid Gutkin, Netta Nimrodi, Arie Burshtein (same team behind Flame Is Burning) will be aired in the evening Moscow broadcast of the program at approximately 20:20 CET. Alexander Rybak will represent Norway with That's How You Write A Song. Watch the show again >here. Benjamin Ingrosso will represent Sweden with Dance You Off. Watch the show again here. The Humans promote Romanian entry for the Eurovision at the Berlin Tourism Fair. Romania's representatives at the Eurovision, The Humans, are having a minirecital at the Tourism Fair held in Berlin. The event takes place on Saturday, March 10 at 15.00 at the Romanian stand and is the first stage of an international promotion tour. Additional information - Romania page. Russian Eurovision 2018 entry to be revealed in Voskresnoye vremya program starting tomorrow Sunday at 19:00 CET. RTP1 will air 5 hours Eurovision special on Monday, the day of Heads of Delegations meeting in Lisbon. Between 10:00 a.m. and 12:15 p.m. hosted by Sónia Araújo and Jorge Gabriel and from 2:45 p.m. to 5:30 p.m. by Tânia Ribas de Oliveira and José Pedro Vasconcelos. Throughout this special issue RTP promises to lift the veil on the event: the competitors, the foreign delegations that are already in Portugal, the scenario and a series of surprises and names associated with this great party. In addition to a lot of music, RTP1 will present in the studio the winners of this year's Song Festival, Cláudia Pascoal and songwriter Isaura, who will represent Portugal. During the broadcast, Joana Teles will be accompanying, live, the 42 foreign delegations and the Portuguese delegation, at their meeting in Lisbon. Dutch representative Waylon has discovered wonders of Pastel de nata in Lisbon. Waylon (the stage name of Willem Bijkerk), the competitor chosen by The Netherlands to represent the country at the Eurovision Song Contest 2018, went to Lisbon for a unique experience at São Jorge Castle, where he recorded his postcard. The artist explored the battlements of the castle, and then moved on to another experience inside the monument. In the Casa do Leão restaurant, located inside the fortress, Waylon literally placed his hands in the mass and confectioned pastéis de nata - Portuguese egg tart pastry, one of the most popular specialties of Portuguese cuisine. The São Jorge Castle is classified as a National Monument and is one of the most emblematic monuments of the city of Lisbon, presenting one of the best views of the Tagus and the city. Built in the middle of the 11th century, the castle underwent major restoration works between 1938 and 1940. Additional information - The Netherlands page. Matt Normet: the priority is to leave Elina's stage number as at the Eesti Laul. Earlier this week, Estonian delegation members have met at the round table to discuss preparations of Elina Nechayeva for the Eurovision in Lisbon. Eesti Laul's main producer Mart Normet said that on Tuesday after long discussions creative team of the project came to the conclusion that the priority would be to bring the lava-performance to the Eurovision stage, since this was what won hearts of Estonian viewers. "We have also polled our colleagues from other countries, who also encouraged us to bring the same show to Europe", says Normet. However, exact details will depend on the cost of production. According to Normet setting up same performance in Europe will be much more costly than in Estonia, because here they were able to find favorable rates through friends and acquaitances. Thus, additional funding will be required. Estonian team will also seek assistance from professionals abroad to direct the stage presentation. Before the Eurovision in May, Nechayeva has a tight timetable: she has already traveled to Finland for master classes, soon she will be in Paide, then return to Paris for courses, goes to Kadriorg Palace and then go to the USA. "Her most important role in preparations is concentrating on her own vocals. The main thing is to practice performance of this particular song to make it even more natural and better, it should come right from the heart"
Additional information - Estonia page. 2018 Eurovision contestant and Australia's most recognisable, multi-platinum, all round entertainer, Jessica Mauboy has had the internet buzzing this week as teasers of her brand new Eurovision song spread like wildfire. 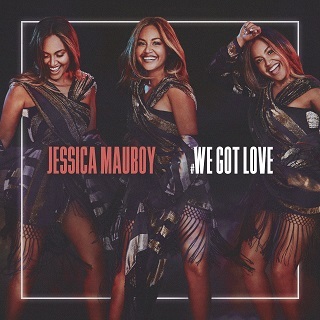 Released globally today, Jessica will sing the emotive, uplifting and powerful anthem #We Got Love at the 2018 Eurovision Song Contest, to be held in Lisbon, Portugal and broadcast exclusively on SBS from 9 to 13 May. Jessica Mauboy said: "I love the Eurovision Song Contest. I have since I was a little girl watching it with the family in Darwin. I wanted to write a song that captured that instinctive sense of joy of how a great song can change the darkest of moods into happiness. #We Got Love is also about how music can lift the human spirit. You can always rise above in the hardest times with something as simple as a great song. Eurovision, to me, is people brought together through a real love of music and all the joy that music can bring. I can't wait to perform this song live in Portugal and see it connect with a global audience at such a special time." Sure to make waves on the Eurovision stage, #We Got Love will allow Jessica to showcase her powerhouse vocals and electric energy on stage at the arena in Lisbon. Michael Ebeid AM, SBS Managing Director said: "SBS has been bringing Eurovision to Australians for 35 years, but Jessica introduced homegrown talent to the world stage in 2014 when she became the first non-European solo artist to perform. She wowed the global audience and showcased what Australia is made of - and SBS is thrilled to invite her back to compete for Eurovision glory this year. At the heart of Eurovision is a celebration of diversity through music - a universal language that transcends culture - and #We Got Love really resonates as a song about overcoming barriers and bringing people together.". Denis Handlin, AO Chairman & CEO, Australia & NZ, President Asia, Sony Music Entertainment said: "Jessica is an outstanding Australian artist who will no doubt capture the world's attention and the hearts of Europe, with the brilliant song she has written with DNA Songs, #We Got Love. Being selected back in 2014 to be the first to showcase Australian talent at Eurovision highlighted her amazing abilities as a world class performer. For all of us at Sony Music, we are delighted to be partnering with Michael Ebeid and SBS along with Paul Clarke from Blink TV again this year to provide Jessica with this wonderful opportunity to once again showcase her incredible talent at Eurovision. Paul Clarke, Australian Head of Delegation and Director of Blink TV, SBS's Eurovision production partner, said: "From the first time we took Jessica to Eurovision, we really hoped we could return with her to compete. #We Got Love is the culmination of that four year plan, and the song so fits her beautiful soul voice. It's a song of belief and overcoming the status quo, and I love the passion of it. I'm sure it will lift your heart. We hope you all love it and hope Europe gets behind Jessica and #We Got Love.". #We Got Love is written by Australian hit makers DNA SONGS duo David Musumeci and Anthony Egizii in collaboration with Jessica. DNA also worked on Dami Im's 2016 Eurovision hit ‘Sound Of Silence', which saw the singer land second place and Isaiah's ‘Don't Come Easy' placing him in the top 10 at the Eurovision Song Contest in 2017. David Musumeci and Anthony Egizii of DNA Songs said: "#We Got Love is a song about unity and a reminder that love, acceptance and the power of inclusivity can overcome all obstacles or hardships that arise. Especially in times like these where the world can be a very confusing and lonely place, it's important to remember when we feel disarmed of empowerment that we still hold the greatest chance for change with love. Jessica Mauboy has been a friend and colleague for many years and we're so excited to work together again on the 2018 Eurovision Song Contest. We have all the faith in the world in Jessica and we can't wait to see her do Australia proud." #We Got Love is released globally and is now available to stream and download, it will also be available as a physical CD single on May 11th through Sony Music Entertainment Australia. On March 3, 2018, Jessika’s song #whoweare won 1in360, a talent show aimed at finding the "internet candidate" and San Marino’s official representative for Eurovision 2018. She is supported by 21-year old German Jenifer Brening, who has a featuring role on the song. A vocal powerhouse in her own right, she surprised audiences when - in true girl power form - she stepped in as a rapper at the last minute to replace Irol, a San Marinese hip-hop artist who had previously featured on the song. Shortly before the finals, Irol had informed Jessika that he would drop out of the song due to creative differences. #whoweare is an anti-bullying anthem informed by Jessika's personal experiences. Co-written by Jenifer, it describes the struggles of anyone who at some point in their life was subjected to harrassing and demeaning treatment, whether in school, at their workplace or on social media. While not targeted at sexual harrassment specifically, the song gains special significance in 2018, at a time when the facade of entrenched, and frequently male dominated, power structures around the world undergoes a thorough reexamination. But rather than assign blame, the song offers a positive unifying message. Jess and Jen have decided to put their money (or, rather, their hearts and lungs) where their mouth is. For the next ten weeks, they will participate in running events across Europe in a bid to raise money for anti-bullying causes. Fans will be able to donate to each #whoweare run and meet the artists at the events. The quest will culminate in a #whoweare run on Lisbon organized by 1in360, which will be held between May 1 and May 12 (details to be confirmed). At the finish line, the artists will present a cheque for the money they raised and deliver it to the Diana Award - a charity supported by the Royal Charities Forum of The Duke and Duchess of Cambridge and Prince Harry dedicated to the Princess of Wales’ belief that young people have the power to change the world. In her capacity as a teacher, Jessika has been involved in various anti-bullying initiatives, including, most recently, eConfidence, an EU funded research project on serious games (that is, video games specifically developed for the educational sector) and young people’s behaviour related to bullying and the safe use of the internet. Join the cause and help Jess und Jen spread the love by taking part in one or more of the #whoweare runs. Additional information - San Marino page. Austrian entry "Nobody But You" has been presented at the ORF Center at the special press-conference. It's radio presentation will take place tomorrow at 7.10 clock in the "Ö3-Wecker". In addition, reports will be aired on "ZiB 24" in today's and tomorrow's "Guten Morgen Österreich", "ZiB" at 9:00 clock, "Mittag in Österreich" and the "Zeit im Bild" on ORF 2. The idea and subsequently the first demo for Nobody But You came from Cesár Sampson and Sebastian Arman. After the soul and backbone of the song were defined, the other three members of the producer collective "Symphonix" (Joacim Persson, Borislav Milanov and Johan Alkenäs) joined it, got carried away by the song and contributed their strengths. Cesár Sampson: "The result includes a great deal of me as an artist and can be excellently staged on the ESC stage. 'Nobody but You' is an incredibly balanced song, reflecting on the one hand my soul and my 'story' and on the other hand enabling listeners to find themselves in it". "Nobody but You" is released in cooperation with Redfly Music, ORF-Enterprise Musikverlag and Kobalt Music. Edgar Böhm: "Cesár Sampson is an experienced musician and artist who has already gained a lot of experience on the international stage of the Song Contest. This year he enters the ring with his own song telling his story and will sing for Austria in Lisbon. The decision to make choice of this exceptional artist was easy for us and we surely are sending a professional representative of Austria in face of him"
Stefan Zechner: "Of course, our goal is to reach the final, but also to show the biggest TV music event in the world, as in previous years, that there is a lot of potential in the Austrian pop music scene. With Cesár we have found an artist who can also compete in the international market. He and his team have been involved in various functions at the Song Contest in recent years. I am pleased that Cesár begins his musical career as a representative of Austria." Eberhard Forcher: "Cesár Sampson was the ideal choice for us. A charismatic singer in combination with a successful songwriting team - in addition a song that does not adhere to the zeitgeist with the crowbar, yet sounds modern and equally grounded. A pop song that has internalized elements of soul, gospel, blues & rock. We are optimistic about the competition." Cesár Sampson represents Austria in Lisbon with a very personal contribution: "For me, this performance means closing a huge circle - that to this day there was no solo release and no music video of mine is by no means a coincidence. As far as the step into the public is concerned, I deliberately held back in order to develop myself in the background. This song includes the path I went as an artist to the current point in my story. As far as my feelings about this song are concerned, they are like the release of a mystery and at the same time a ship's baptism. " All Aboard! The "Eurovision Song Contest" shows will be broadcast live on ORF Eins. news.ORF.at will keep you up to date on the events at the semi-finals and the finals. The ORF-TVthek delivers live streams of all TV broadcasts of the music event. And as a special service, video-on-demand will be provided during live broadcasts. On extra.ORF.at there will be an opportunity to win a Presskit (including CD) of Cesár Sampson. ORF TELETEXT also will offer as a special service during the semifinals and the final with Teletwitter: Comments posted on Twitter (hashtag #ESCORF) are recorded in the ORF TELETEXT and can by the request of spectators be displayed at the bottom of the screen during the TV broadcasts. Additional information - Austria page. Following the huge success for the third year in a row, during 8-11 April the 2018 Eurovision Song Contest artists will arrive to Israel for a special promo event that will be held before the actual contest. 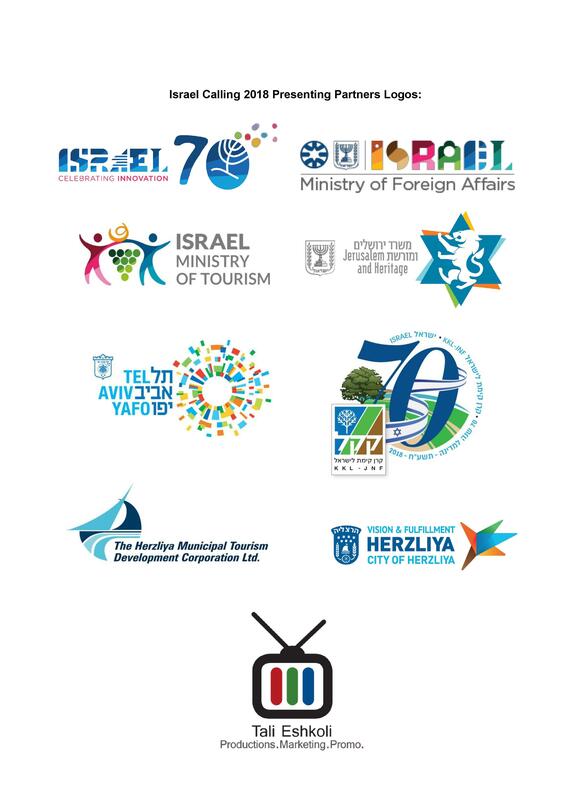 The Israel Calling project, initiated and produced by Tali Eshkoli, takes place thanks to the assistance and sponsorship of the Ministry of Foreign Affairs, the Ministry of Jerusalem and Heritage, the Ministry of Tourism, KKL, Herzliya Municipality and Tel Aviv Municipality – the host city. As in previous years, the event will run for four days in which the artists will get to know Israel: Touring in the holy places of Jerusalem as well as the old and new parts of the city, where they will be welcomed by the Minister of Jerusalem and Heritage, Mr. Ze'ev Elkin, in an event featuring previous representatives of Israel in the Eurovision Song Contest. The red-carpet event will be held in the Marina of Herzliya together with the ambassadors of the participating countries, representatives of the government's offices and VIPs. A press conference for the local and foreign media will be held right before the artists will plant trees in the Eurovision Forest at "President's Forest", thanks to KKL. The highlight of the event will take place on Tuesday, April 10th, as a mini-Eurovision live show will be held in front of the Israeli audience. During the show, the artists will perform their entry for the upcoming Eurovision Song Contest. Closing the Israel Calling event is a flotilla of yachts in front of Israel's coastline. As similar to the previous events, the delegations will be accompanied by senior journalists from their own countries, cameramen of the national broadcasters, cameramen of the European Broadcasting Union and leading bloggers who report about the Eurovision Song Contest. They will document the artists and their activities and Israel and will report their impressions from the visit to Israel. 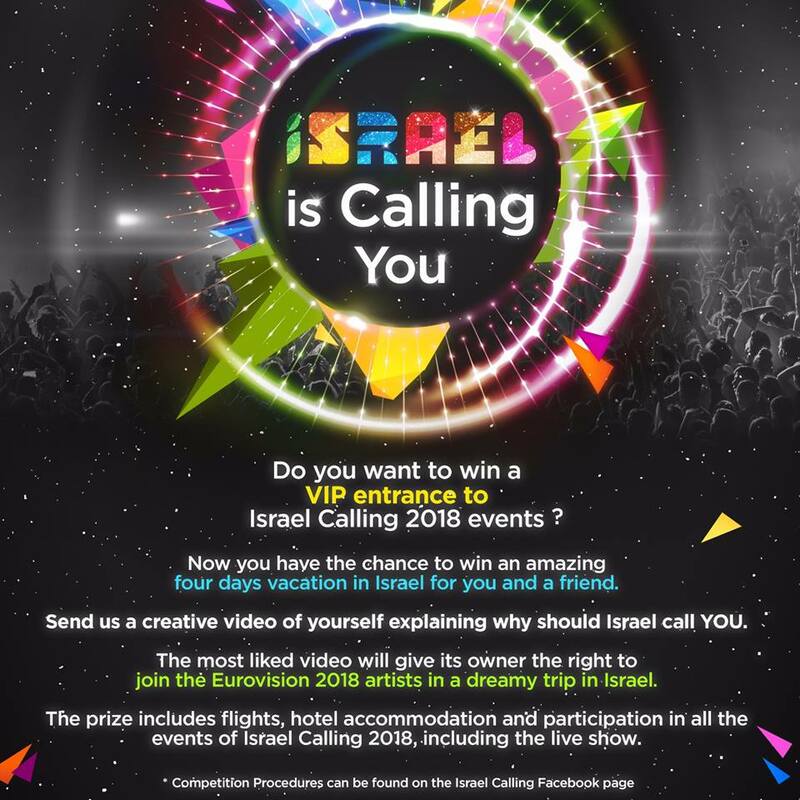 The contest "Israel is Calling You" was launched on the official Facebook page of the event. Eurovision fans from all over the world are able to take part in the contest, in which they will have to submit videos of themselves telling why do they want to come to Israel. The winner will get a double VIP package for Israel Calling 2018, which includes flights, hotel accommodation together with the artists and participation in all of the events, including the live show. So far, more than 25 countries have confirmed their attendance to the event, and the number goes up every day. The full list of participants will be published step by step during the upcoming days in the social media of the show. Check out new interview (with English subtitles) with the representative of Ukraine MÉLOVIN. Among other things he speaks about revamp of his entry which has been produced by national selection jury member Eugene Filatov and his plans to attend as many pre-parties as possible. In its central Dnevnik news program tonight, Croatian Radio and Television (HRT) will exclusively present parts of the official video for the song Crazy with which Franka Batelić will represent the HRT and the Republic of Croatia at the 63rd Eurovision Song Contest in Portugal in May of this year. An interview with Franka Batelić will follow in Dnevnik’s third edition where the popular singer will reveal more details about her preparations for Eurovision. The official video will also be featured in tomorrow’s edition of the Good Morning, Croatia mosaic show and on HRT’s website hrt.hr and eurosong.hrt.hr subdomain. Franka Batelić will also be making guest appearances tomorrow on Croatian Radio’s Channel Two (HRT – HR 2) and on HRT’s local radio stations. The release of the official video will follow less than a week after the teaser for Croatia’s Eurovision entry was presented to the Croatian public. Franka Batelić wrote the lyrics herself and the music is by Branimir Mihaljević. Young Denis Mevlja had a big role in the making of the song, and mixing was done in London’s Metropolis Studio where stars like Adele, Amy Winehouse, Lana Del Rey and many others had worked. The final processing of the song was done by London’s legendary Abbey Road Studio. Information on all the details, points of interest and Franka Batelić’s preparations for her performance at the 63rd Eurovision Song Contest will also be regularly published on the HRT’s hrt.hr website and eurosong.hrt.hr subdomain, and the HRT’s Facebook profiles. Additional information - Croatia page. Jenifer Brening to do some singing parts in Sammarinese Eurovision entry besides the rap. "I am very happy about the opportunity to compete for San Marino at the ESC. I am, as you all know, singer, so it was a bit of a shock that I won with a rap. It was a spontaneous decision to help Jessika since I co-wrote the song and I'm glad it worked out. The anti-bullying issue is very important and you will not only hear me rap in Lisbon, but also a little of singing"
Official photoshoot of the Georgian IRIAO band took place. Photos that will be used on all promotional Eurovision products have been produced by Giorgi Tsanava. Music video for the Georgian entry "Sheni gulistvis" will be directed by Zaza Oraashvili. The shooting will begin tomorrow in Saguramo. Dancers of "Erisioni" will also participate in the video. The author of the contest entry is David Malazonia, it is arranged by Mikheil Mdinaradze and the author of the lyrics is Irina Sanikidze. This is the first time when a song in Georgian will be performed at the Eurovision. Additional information - Georgia page. RTVE has released teaser for the music video of Spanish entry. Full video will be presented in a special hosted by Roberto Leal next Friday, March 9, at the prime time of La 1. Spanish representatives, Amaia and Alfred Garcia will speak about their preparations for the contest. Additional information - Spain page. Saara Aalto will perform Monsters in Lisbon. Watch the show again here. Margaret, Renaida, Felix Sandman and Mendez join the Melodifestivalen list of finalists. Watch the show again here. Elina Nechayeva will represent Estonia with La Forza. Watch the show: Part 1, Part 2. Ari Ólafsson will represent Iceland with Our Choice. Recording of the show can be seen here. Jessika feat. Jenifer Brening to perform "Who We Are" for San Marino. 21:30 CET, Poland, National final, TVP1, TVP Polonia, online. Gromee feat. Lukas Meijer will represent Poland with "Light Me Up". Watch the show again here. Aisel will be performing "X my heart" at the Eurovision song contest in Lisbon. The song is written by the famous Greek composer/producer Dimitris Kontopoulos and Swedish songwriter Sandra Bjurman. Both authors have had a victory at the Eurovision Song Contest: Dimitris Kontopoulos won the viewers vote in 2016 with "You are the only one" and Sandra Bjurman won the Eurovision song contest in 2011 with "Running scared". The song has been arranged by Dimitris Kontopoulos and Tim Bran, the man behind the production of "City lights", the Belgian entry back in 2017, who has also worked with several well-known artists such as, The Verve, London Grammar, Birdy, Halsey, Bloc Party and others. "X my heart" has been recorded in London and the mix of the song belongs to Ash Howes, internationally recognised for his mix work for One Direction, Dido, The Corrs, Ellie Goulding and many others. Fokas Evangelinos, the legendary Greek stage director will work with Aisel on her performance. Fokas is responsible for some of the most memorable numbers in the history of the Eurovision song contest, such as the winning acts of Helena Paparizou and Dima Bilan, the runner up numbers of Ani Lorak and Farid Mammadov and of course the stage presentation of Sergey Lazarev who in 2016 won the viewers vote. "X my heart" was my favorite song from the first moment I heard it. The music gave me a positive, uplifting feeling while performing it has a power that made me enjoy every second in the studio. I feel a strong connection with the lyrics of the song, since believing in myself made me overcome several difficulties I had in my life. This is a message I want to send to everyone: believing in yourself can make you "stronger than cannonballs". I also like the way Sandra Bjurman played with my name, since "Aisel" in Azerbaijani means "the path of the moon". Finally, I am thrilled to be working with such an international team. Professionals from Azerbaijan, Greece, United Kingdom, Sweden, Cyprus, Portugal, Russia, Ukraine are all working together for this entry. For me this is Eurovision : a contest that unites people around Europe through music. I am really proud to be representing my country in this event. Additional information - Azerbaijan page. AISEL will present her Eurovision entry on 4 March. On the 8 November 2017 it was announced that Aisel will be representing Azerbaijan at the Eurovision Song Contest. From that day till the beginning of February the talented singer had travelled to different countries around Europe in search of the future contest entry. From songs in her native language with ethnic elements, to jazz and mainstream pop songs. Working closely with music experts from her country and abroad, Aisel chose the three songs she liked best. After that a focus group of 300 people from 31 countries around Europe voted on the songs. None of the people participating in the poll had any information about it's purpose, they just had to press like for the songs they really liked. With 87% of the votes it became clear which is the song that Azerbaijan will be sending to Portugal. Aisel's entry will be revealed at 12:00 CET on Sunday 4 March. 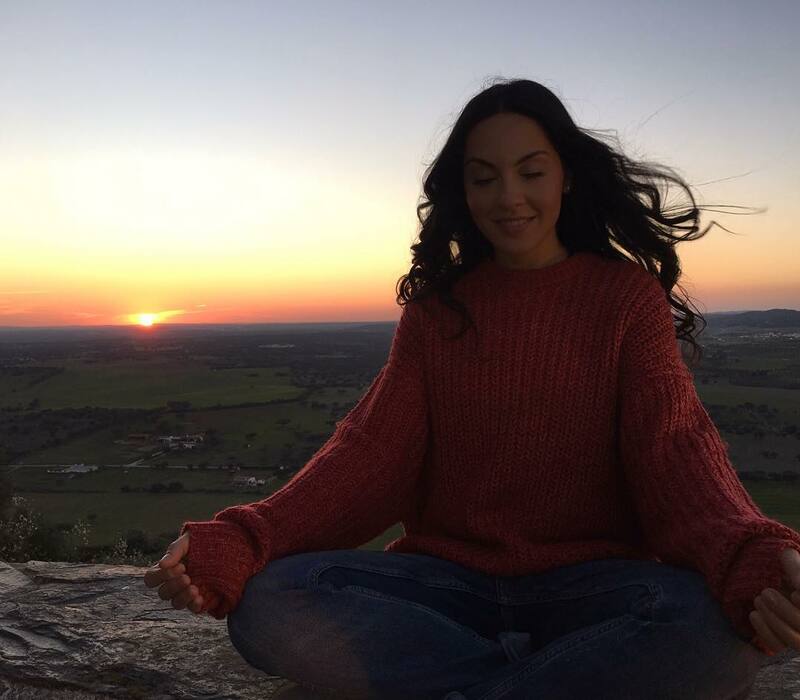 Representative of Azerbaijan AISEL has filmed her Eurovision postcard in the town of Reguengos de Monsaraz in Alentejo. Reguengos de Monsaraz is a city with an impressive natural beauty, characterized by its plains, megalithic monuments and gastronomy. In Reguengos de Monsaraz is also located the largest artificial lake in Europe, the Alqueva Dam. In her postcard, Aisel found a door in the middle of a plain. As she walked through the door, the artist came upon a balloon of hot air and embarked on an adventure, admiring from the sky the magnificent landscapes of the region. After the shoot, Aisel anticipated the final result of her postcard: "I feel lucky, because my postcard was filmed in this extraordinary place called Monsaraz. The unique experience of Monsaraz was completed by the balloon flight over the largest artificial lake in Europe and the infinite fields. I have to admit that before the flight I was a little afraid ... However, when we started to float in the air, the fear disappeared and I loved this wonderful trip. Last but not least, the team was amazing, very friendly and helpful! I can not wait to see the final result. " Meanwhile, as ESCKAZ has learnt, shooting of the postcard of the Russian entrant Julia Samoylova is planned for 27-30 March. Netta Barzilai (Israel) will perform at the Eurovision 2018 song Toy (Doron Medalie, Stav Beger, Netta Barzilai, Avshalom Ariel - Doron Medalie, Stav Beger). Songs of Doron Medalie have represented Israel in 2015 and 2016. It is expected that the song will be presented on 10 March. For the first time on the Eurovision stage Barzilai will be using vocal looper. Waylon has presented the second potential Dutch Eurovision entry - Outlaw in Em. Fans who want to attend Waylon's live performance of the Eurovision entry on Muziekcafé should send an email with their names, date of birth and reasons why you have to be chosen to attend at waylon@avrotros.com. 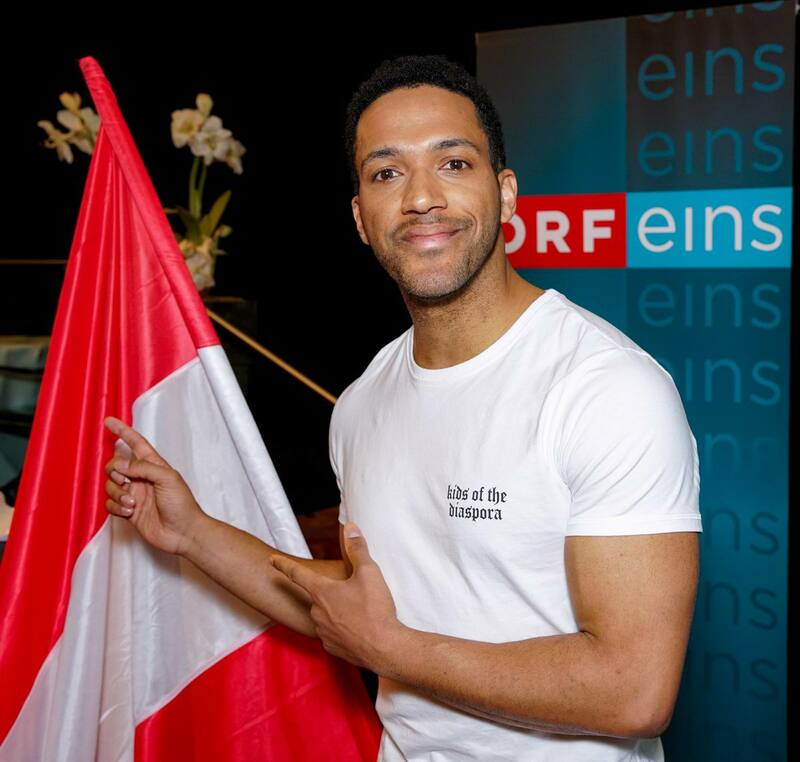 Presentation of the Austrian entry "Nobody But You" of Cesár Sampson will take place on 8 March at the press-conference and on 9 March in a radio broadcast in the morning program Ö3-Wecker (5-9 am CET). Belgian entry of Sennek will be presented on 5 March at the special press-conference and on 6 March in the morning radio broadcast - most likely in De Grote Peter van de Veire Ochtendshow from 6 to 9 am at MNM radio. Italian entry "Non mi avete fatto niente" has reached Golden Disc status in less than three weeks, so far selling over 25,000 copies. Amaia and Alfred not only recorded final Eurovision version of the Spanish entry Tu canción, but there is also English version in the making, which will be used for the promotional purposes. YLE Finland has revealed the three outfits with which Saara Aalto will perform her three songs at UMK 2018 this Saturday. Behind every stage presentation is Brian Friedman , who has created choreographies, among others for Britney Spears, Beyonce and Mariah Carey and has been working on X Factor's performance in both Britain and the United States. Also involved are choreographers Lukas McFarlane and Reija Wäre, and the whole team is made of specialists from Finland, US, UK, Sweden and Norway. In Monsters, the most interesting would be to follow Saara's journey by changing from a closed and isolated character to a life-giving glamorous kind. Monsters will also have a lot of movement on the stage, interaction between dancers and backdrops. There are different sculpture elements, costumes and props that may be used by dancers. Domino presentation will be surprising. Ballad is not usually expected to have such high production values as Dominos will. The only secret revealed is that Saara may get in the air at some point - or no. For Queens Friedman has created a show that is more massive than the British X Factor performances and something never seen in Finland so far. There will be many events happening on the stage and some massive stage constructions used. The work of dancers and background singers will be very accurate. Additional information - Finland page. Part of the song Crazy with which Franka will represent Croatian Radio and Television (HRT) and the Republic of Croatia at the 63rd Eurovision Song Contest to be held in May in Portugal was presented today on the HRT’s official website. The popular singer wrote the lyrics herself and the music is by Branimir Mihaljević. "We came up with the song unexpectedly. We were recording the three songs we were going to propose for Eurovision in the studio and this one just crept up suddenly. Branimir started playing it on the piano, I started humming the lyrics and that’s how Crazy came about. We picked it up right away because it’s unusual and unexpected. It’s powerful, emotional, strong, modern and production is great. I hope the audience will love it," said Franka. "Franka has all the qualities of a true world star and we did our best to make a world song, keeping up with the current trends, but at the same time creating a completely new sound and original atmosphere. Young Denis Mevlja had a big role in the making of the song, and mixing was done in London’s Metropolis Studio by the people who had created the sound of Adele, Amy Winehouse, Lana Del Rey and many others. The final processing of the song will be done by London’s legendary Abbey Road Studio. I’m sure you’ll be pleasantly surprised when you hear the song,” said Branimir Mihaljević. Franka's manager Siniša Bevanda revealed some details about the concept of her performance. “We want a beautiful and impressive performance, but we won’t be doing anything very spectacular. We have some interesting ideas and this is the most intensive period for us because the whole concept must be worked out. From the video clip and costume design to the performance. We got some valuable advice from recognized professionals and colleagues with whom we had worked in Zagreb when Franka was the opening act for Beyoncé, so that means a lot to us," noted Siniša Bevanda. 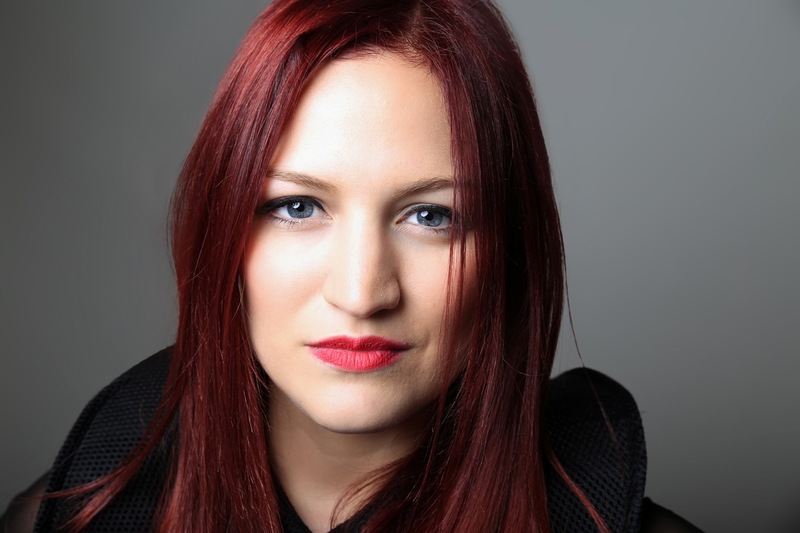 The Head of the HRT’s Eurovision Song Contest (ESC) Team, Tomislav Štengl, is convinced that Franka will continue the sequence of success the HRT and Croatia have achieved in the past two years. "Nina Kraljić made it to the final, and brilliant Jacques Houdek ranked very highly last year according to the audience votes. He was thirteenth in the end, which is a great result among the 42 participating countries. We think Franka can also fulfill our basic goal of making it to the final, and once you get to the final – all is open," said Tomislav Štengl. Наши следующие гости - Джессика и Дженифер, представляющие Сан-Марино в этом году, которые очень рады стать участниками Евровидения: "Я так с нетерпением жду выступлени на этой сцене, и приложу все усилия, чтобы передать наш посыл и эмоции и, конечно, показать отличное шоу! Это всегда было моей мечтой, которая теперь становится реальностью, поэтому я искренне счастлива и с нетерпением жду этого момента" - Джессика. "Это такой потрясающий опыт и я с нетерпением жду всего, что впереди нас" - Дженифер. Вместе они будут исполнять песню "Who We Are", которая имеет для них важное значение. Как Джессика рассказала нам: "Who We Are, это особая песня, главная цель которой - показать человечеству, что мы должен ценить каждого за его или ее уникальность. Жизненный опыт делает людей разными, и разнообразие - это прекрасная вещь, и мы должны праздновать это. Не издеваться над этим и не унижать людей за то, что они отличаются от вас. К сожалению, надо мной издевались не только в школе, но в разное время, и это оставило след во мне и моем характере, и сделало меня такой, кем я являюсь сегодня. В тех случаях я чувствовала себя очень ранимой и слабой, и даже моя семья была вынуждена пройти через трудные времена из-за этого, я не хочу, чтобы кто-то прошел через то, что я пережила. Как педагог, я делаю все возможное, чтобы принять меры, как певица, я хочу обратиться к как можно большему количеству людей, чтобы они осознали проблему и начать действовать не как простые прохожие, а принимать всех такими какими они являются и ценить это"
У обеих исполнительницы есть конкурсный опыт, который они используют для подготовки к Лиссабону: "Да, я думаю, что мы можем поделиться им и учиться друг у друга, как педагог, я считаю, что жизнь всегда является процессом обучения и, следовательно, вы никогда не выучитесь достаточно, всегда должно быть стремление улучшить себя и ценить возможность научиться чему-то новому у кого-то, кто встречается на вашем пути. То, что Дженифер вошла в мою команду научило меня одному из самых больших уроков, что женщины могут действительно объединяться, и когда они это делают, происходят невероятные вещи!" - Джессика. У них запланированы съемки видеоклипа, а также вероятна запись новых версий конкурсной песни Who We Are. Джессика считает, что выход в финал стал бы для них благословением свыше, а Дженифер добавляет: "Я бы не сказала, что невыход в прошлые годы Сан-Марино в финал добавляет какое-то давление на нас, хотя, конечно в подсознании где-то это есть. Я считаю, что перед нами новая страница. У нас хорошая песня с сильным посылом и замечательной командой. Я думаю, что нужно держать давление подальше, чтобы было можно сосредоточиться на своем проекте. Обе исполнительницы говорят, что в настоящее время уделяют основное внимание Евровидению, оставив другие проекты до окончания конкурса. "Я чувствую себя благословленной, что у меня есть возможность объяснить посыл моей песни, и я искренне надеюсь, что люди поймут его и почувствуют себя так близко к нему, как и я. Если вам она нравится, проголосуйте за нее и оцените наши усилия. С большой любовью и поцелуями, ваша Джессика"
Дженифер и Джессика с нетерпением ждут своей поездки на Евровидение - полное интервью с артистами вы можете прочитать на нашей Facebook странице. Представители Молдовы DoReDos приняли участие в утреннем шоу LRT Labas rytas, Lietuva. По словам Марины Джундиет, они уже смогли увидеть различные города страны. "Мы прошли через Старый город Вильнюса, в нем есть какая-то магия. Нам очень нравится история, и именно в Старом городе вы можете увидеть всю историю Вильнюса. Мы осмотрели страну через окно машины, идущей из города в город. Мы были в Тракае - там очень красиво. Было очень холодно, но мы все-таки погуляли, это было интересно", - говорит исполнительница. Литва - не первая страна, в которую приезжают молдавские певцы. По их словам, их промо-тур начался сразу же после финала национального отбора. В ночь следующего дня они отправились в Румынию, где состоялся национальный отбор. После Румынии последовали прибалтийские страны. По словам певцов, их собственная победа в национальном соревновании была для них неожиданной. "В национальном финале не было ярких лидеров. Да, о нас говорили, так как наша песня была написана Филиппом Киркоровым, но никто не мог гарантировать нам победу. Мы были рады узнать, что мы получили самый высокий рейтинг как от комиссии, так и от аудитории", вспоминает Марина. Исполнители не скрывают, что испытывают некоторое давление после успеха Молдовы в 2017 году - SunStroke Project с песней "Hey Mamma" заняли третье место. Это самое высокое достижение страны в этом конкурсе. "Конечно, мы обеспокоены тем, что нас сравнивают с теми прекрасными молодыми людьми, SunStroke Project, но мы стараемся работать каждый день, добиваться хорошего результата, создавать хорошее шоу. Мы стремимся к тому, что то, что мы покажем выступление не хуже, чем было у них", - говорит Евгений Андрианов. Марина согласна с ним: "Многие говорят, что после хорошего результата наших коллег в этом году добиться этого невозможно. Я так не думаю. В этом году внимание уже будет приковано к Молдове, и мне кажется, что это поможет достичь лучшего результата, если мы будем хорошо подготовлены". Исполнители, представляющие Молдову, сняли свой видеоклип в Греции, Санторини. У них был только один мотив для такого решения - по их словам, в то время, когда снимался видеоклип, в Молдове было холодно. Кроме того, в природе на родине нет таких ярких цветов, как в Санторини. Наконец, Греция близка им, потому что половина команды состоит из греков. "Санторини позволил передать трепет, страсть, яркость, позитив и настроение песни с точки зрения климата и имиджа", - говорят исполнители. Представители Молдовы признают, что в этом году конкурс очень силен, но не могут выделить в нем фаворитов, пока они не увидели сценические выступления других артистов. "Мне нравятся Израиль, Чешская Республика, ваш представитель Ева - ее песня очень красивая. Много интересных песен", - говорит Марина, также добавив, что ей понравилась песня Сальвадора Собрала, победителя прошлого года, которая, по словам певицы была не только красивой, мелодичной, искренней, но и отличалась от всех остальных. "Я надеюсь, что наша песня также выделится в этом году и охватит сердца каждого зрителя и слушателя". Исполнители признают, что их песня привлекла неоднозначные отзывы. "Знаете, у разных людей разные вкусы. Мы не можем угодить всем, и это нормально", - говорит Джундиет. Сергей Мыцэ: "Не существует формата Евровидения. Мы надеемся, что мы покажем позитивную, интересную презентацию на сцене, и тогда будет ясно, подходит ли эта песня для Евровидения или нет". Исполнители утверждают, что их выступление в Лиссабоне будет сильно отличаться от того, что видели зрители Молдовы в национальном финале. "Это будет совсем другое шоу: первые репетиции уже прошли: сценарий номера уже расписан, теперь мы просто его отрабатываем. Номер принципиально отличается от того, что было в национальном отборе - постановка будет очень оригинальной, интригующей, игривой, я думаю, никто не останется равнодушным, и это вызовет улыбку у аудитории", - говорит Марина. По словам Сергея, постановщиком номера является Фокас Евангелинос, известный во всем мире. "Это человек, который постоянно участвует в Евровидении. Он продюсировал шоу Сергея Лазарева, Димы Билана, Ани Лорак, Дмитрия Колдуна, Елены Папаризу и других", - говорит певец, добавляя, что, насколько ему известно, на Евровидении ничего подобного их постановке раньше не было. ESCKAZ и Facebook страница @EurovisionCoverage начинают публикации интервью с участниками конкурса Евровидение 2018. Первая наша гостья – Кристабелл из Мальты. Кристабелл активно готовится к своей поездке в Лиссабон: "Я счастлива представлять Мальту в Лиссабоне. Это очень большая честь, и я надеюсь, что моя страна будет гордиться мной". О своем пути на Евровидение она рассказывает: "Я считаю, это довольно особенный конкурс. Каждый раз, когда я принимала участие в отборах, я отлично проводила время, и победа на этот раз – просто волшебство! Однако, финал мальтийского отбора – кульминация многомесячной работы, и я думаю, что та часть, которую я всегда буду помнить, за исключением победы, конечно, – это работа с моей командой, чтобы воплотить "Taboo" на сцене!". Кристабелл исполнит на конкурсе песню 'Taboo'. Сама Кристабелл описывает свою песню так: "В нет речь идет о разрушении табу, которые окружают психическое здоровье человека, она побуждает людей говорить и искать помощи, а не молчать". Также она рассказала нам об истории создания своей композиции: "Как человек, который испытал это на себе, я думаю, что очень важно, чтобы те, кто чувствует себя плохо в психическом или эмоциональном плане, не стыдились говорить об этом. Я почувствовала, что готова на собственном опыте показать это. Текст песни – командное усилие. Вместо со мной его написали Джонни Санчес, Томас Г:Сон и Muxu. Художественный руководитель, Стивен Леви Велла, показал свое видение песни как на выступлении в финале отбора, так и в клипе на песню (режиссером которого был Гордон Бонелло и PBS). Сейчас мы вместе работаем над улучшением моего выступлением в полуфинале, 10 мая". Кристабелл объясняет главный посыл песни: "Я надеюсь, что мы все научимся больше понимать и открыто говорить о проблемах психического здоровья". Певица говорит, что в будущем возможно создание других версий песни, на других языках. Но сейчас все силы направлены на подготовку сценического исполнения. Она также поделилась с нами информацией о своем клипе: "Над ним работала прекрасная команда, и я была в восторге от результата. Однако в нем нет никакого скрытого посыла. Я была очень откровенна и призывала к разрушению молчания и снятие запретов на разговоры о психическом здоровье, и вот этот клипом об этом. Я чувствую, что постапокалиптический мир в видео хорошо поддается тому, каково это – не чувствовать себя не очень хорошо эмоционально или психически и быть не в состоянии говорить". Пока детали сценического выступления держатся в секрете, но оно определенно будет отличаться от постановки в финале отбора. О том, кто к ней присоединится в качестве бэк-вокалистов она также расскажет уже в Лиссабоне. О своей цели на Евровидении певица говорит: "Как и все остальные участники, я здесь, чтобы победить. Тем не менее, мой главный приоритет – сделать так, чтобы моя страна моим выступлением". Кристабелл рассказала нам немного о своей открытке: "Мне очень понравилось сниматься в открытке! Я каталась на лошади по красивой португальской сельской местности, в которую я влюбилась... я не могу дождаться момента, когда вернусь в Португалию!". Также Кристабелл планирует принять участие в промо-вечеринках: "Расписание сейчас составляется, но следите за мной в Лондоне, Амстердаме и множестве других мест!". "Огромное СПАСИБО всем тем, кто помогает мне на моем пути. Я невероятно признательна за все те письма поддержки, которые я получаю, и за ту дискуссию, которую посыл моей песни уже начал на Мальте"
Певица ждет своей поездки в Лиссабон и готова гордо размахивать Мальтийским флагом над португальской столицей. С полным интервью вы можете познакомиться на нашей Facebook странице. Премьера видеоклипа на песню Армении Qami. Режиссером видеоклипа выступил Артур Манукян, работавший над клипами для Детского Евровидения 2014 и 2015, а также взрослого Евровидения 2017. Также в команду клипа вошли оператор Сурен Тадевосян, стилист Арам Николян и дизайнер по свету Ваагн Микаелян. "Когда я впервые услышал песню, я немедленно подумал, что видеоклип должен отражать внутренний мир Севака - его эмоции и чувства. В клипе нет никаких лишних элементов - он минималистический, но в то же время очень экспрессивный. Я хотел, чтобы он был простым, и лишь концентрировал внимание на Севаке и его песне", говорит режиссер Артур Манукян. Телеканал RTP опубликовал дополнительную информацию о прошедших съемках посткардов представительницы Мальты Кристабелл и Кипра Элени Фурейры. "Это было просто фантастика, и у меня появился четырехногий друг Тофу. Я очень благодарна всем жителям Португалии, с кем я встретилась за их гостеприимство. Съемки прошли в прекрасном месте Алтер-ду-Шан, и мы провели там два замечательных дня. В Лиссабоне тоже все было прекрасно, включая архитектуру и еду. С нетерпением жду возвращения сюда"
"Съемки открытки Кипра показали мне вкус Лиссабона и Португалии (в прямом смысле!). Я получила возможность познакомиться с португальской кухней, и спеть свою песню Fuego для потрясающего шеф-повара. Я хочу поблагодарить всех за их гостеприимство и энтузиазм, и жду возвращения сюда в мае!" Амайя и Альфред отправятся на Азорские острова для съемки их посткарда Евровидения. Она пройдет на крупнейшем острове архипелага Сан Мигель, где расположена столица региона Понта Дельгада. Этот остров также называют "зеленым", из-за его лугов, и он знаменит красотой своих озер. Райский и очень романтичный анклав еще больше поможет Европе полюбить "Tu canción". Еженедельное онлайн шоу #OTVisión, которое выходит по понедельникам в 19:00 Москвы передаст прямой эфир с Азорских островов. Представительница Словении Леа Сирк также снимает посткард на Азорских островах в городе Орта. Официальный магазин Евровидения дарит наборы продуктов с символикой конкурса (стоимостью в 60 евро). Чтобы выиграть их, просто напишите, какая песня с Евровидения 2018 является вашей любимой под постами: Facebook, Twitter, Instagram. Конкурс закрывается в 14:00 Москвы 19 марта. Полные условия. Премьера официального видеоклипа представителя Армении Севака Ханагяна состоится 21 марта. Сегодня был представлен его тизер. Представители Сербии Балканика станут сегодня гостями эфира боснийского телевидения BHRT "Konačno petak" в 17:45 местного времени. Сегодняшний эфир программы Stisni Play на MRT1 в 20:15 местного времени будет посвящен представителям Македонии Eye Cue. Представитель Швеции Беньямин Ингроссо пообщался с Radio Sweden. Представители Молдовы DoReDos объявили промо-тур: 16/03-17/03 Каунас, Литва, 18/03 Клайпеда, Литва, 20/03 Калининград, Россия, 22/03 Вильнюс, Литва, 23/03 Шяуляй, Литва, 24/03 Рига, Латвия, 25/03 Таллинн, Эстония, 27/03 Лиепая, Латвия, 10/04 Тель Авив, Израиль, 14/04 Амстерда, Нидерланды, 21/04 Мадрид, Испания. Выпущена конкурсная версия песни Албании Mall. Городской совет Лиссабона утвердил инвестицию в 5 млн евро на финансирование организации конкурса Евровидение, что составит одну треть от общих затрат на его проведение. 2.8 млн из данной суммы будут переданы в адрес телеканала-организатора RTP по договору, который будет заключен между муниципалитетом, вещателем и Туристической Ассоциацией Лиссабона (ATL). Ресурсы будут взяты из Фонда Развития Туризма в Лиссабоне. Также, из документации стало известно, что аренда зала проведения конкурса составит 2 млн 42 тысячи Евро без НДС. В 160 тысяч обойдется аренда пресс-центра. 150 тысяч будут переданы ATL на организацию социальных программ и экскурсий. 2 млн будут выделены на продвижение мероприятия, и организацию сопутствующих мероприятий - красной дорожки, церемонии открытия и Евродеревни. Оппозиционная коммунистическая партия PCP выступала против данного способа финансирования. Ее представитель Карлос Моура заявил, что "использование муниципального туристического фонда является абсурдом". "Это невероятный скандал. Зал был построен на общественные деньги, и затем был передан в частные руки, несмотря на свою доходность. Мы не отрицаем важность фестиваля для города и страны, но муниципалитет Лиссабоне не может взваливать на себя такие расходы", отметили коммунисты. Также они отрицательно отозвались о программе волонтеров, назвав ее "попыткой найти бесплатную рабочую силу"
По подсчетам мэрии, недели Евровидения в Лиссабоне посетят 30 тысяч туристов, из которых 27 тысяч будут из-за рубежа. Они должны будут потратить в Лиссабоне 25.6 млн евро, т.е. каждый турист в среднем 850 евро. Дополнительная информация - страница организации мероприятия. 21/03 Армения, 13/03 Грузия, 12/03 Швейцария, Молдова, 11/03 Черногория, Македония, Израиль, Россия, 09/03 Испания, Мальта, Ирландия, Австрия, 08/03 Греция, Франция, Австралия, 07/03 Великобритания, Азербайджан; 06/03 Хорватия. Финальная волна билетов на Евровидение 2018 будет выпущена в продажу в 12:00 Москвы 5 апреля 2018 года. Это будет последним шансом приобрести билеты на все шоу конкурса, в том числе и финал. Продажа билетов, как и всегда, пройдет на сайте Blueticket.pt. Португалия выступит под 8 номером в финале конкурса Евровидение 2018, определила жеребьевка, прошедшая во время встречи глав делегаций. Также, сегодня были объявлены акты открытия и интервалов конкурса. В их числе выступит и победитель Евровидения 2017 Салвадор Собрал. Помимо своей песни -победительницы, он представит и новый материал. В рамках мировой эксклюзивной премьеры пройдет первое совместное выступление исполнителей португальского фадо Ana Moura и Mariza. Они выступят в сегменте открытия шоу, который должен войти в историю португальской музыки. За этим последует классический парад флагов, саундтрек к которому написали чемпионы мира по скретчу Beatbombers. Также в финале выступит DJ Branko, который создаст путешествие по миру при помощи электронной музыки. Также стало известно, что Евроклуб расположится в Ministerium Club в центре города, рядом с Евродеревней. Он будет открыт для аккредитованных фанатов и прессы и будет действовать на протяжении двух недель. Ева Засимаускайте представит Литву с песней When We're Old. Запись шоу можно увидеть здесь. 11 марта Российский "Первый Канал" презентовал песню "I Won't Break", которую российская певица Юлия Самойлова исполнит на Евровидении 2018 в Лиссабоне. "Это песня обо мне. Авторы словно специально задались целью переложить на музыку мои собственные мысли и переживания, –говорит певица. – Это не столько нежная баллада, сколько песня со стержнем". Глава Российской делегации на конкурсе и главный продюсер музыкальных и развлекательных программ Первого канала Юрий Аксюта: "У нас замечательный исполнитель, прекрасная песня, исполненный смысла и очень красивый номер. И как всегда – наилучшие ожидания от конкурса, который пользуется у нас в стране большой популярностью! Россия возвращается!" Над новой песней для Юли работала та же интернациональная команда авторов, что и год назад – Леонид Гуткин, Нэтта Нимроди и Арье Бурштейн (с Леонидом Первый канал уже не раз сотрудничал на Евровидении – песни Дины Гариповой и Полины Гагариной). Леонид Гуткин: "Это очень личная песня. Она о силе духа Юлии, вдохновившей столь многих. В песне есть образ «замка из песка», который хрупок лишь на первый взгляд, а на деле – крепок как скала". Официальное видео на песню снял режиссер Алексей Голубев, который будет и постановщиком конкурсного номера Юлии Самойловой в Лиссабоне (в 2015 он же был режиссером музыкального клипа и номера Полины Гагариной на Евровидении в Вене). Детали выступления Юлии пока держатся в секрете, но общую идею Алексей выразил так: "Это будет метафора зарождения жизни и любви, а главное – веры". Дополнительная информация - страница России. Израиль с гордостью представляет свою конкурсную песню для Евровидения 2018 - TOY. Израиль на Евровидении 2018 будет представлять 25-летняя Нетта, которая несет с собой мощный голос, магнетическую личность и уникальный талант владения лупером - электронным вокальным инструментом. Нетта предлагает свежее и современное сочетание звуков и влияний на Евровидение. "TOY" была написана и спродюсирована молодым продюсером Ставом Бегером и одним из лучших хитмейкеров Израиля - Дороном Медали, который написал "Golden Boy" (2015) и "Made of Stars" (2016), это - его третья конкурсная песня от Израиля. "TOY" - это "Ближневосточный поп-хит", который объединяет в себе современные поп-музыку, K-pop и Hip-hop с заразным ближневосточным звуком и ритмом. Лирика песни фокусируется на жаркой теме - пробуждении женской силы и социальной справедливости, с простым и прямым посылом - "Я не твоя игрушка". Видео-клип на песню был снят одним из ведущих продюсеров Израиля Керен Хохма, и он фокусируется на Нетте, демонстрируя ее как сильную, независимую и стильную женщину. Участние Израиля в Евровидении в этом году - совместный проект "Tedy Productions", одного из самых известных и влиятельных контент-центров в израильской медиа среде, "Kan», израильской общественной телерадиовещательной корпорации и крупнейшей медиакомпании в Израиле с тремя вещательными платформами и "Keshet12", ведущего коммерческого телевизионного канала страны. Дополнительная информация - страница Израиля. В программе "Воскресное время" на Дальнем Востоке прошел репортаж о подготовке Юлии Самойловой к конкурсу Евровидение 2018. Полноценная премьера конкурсного трека I Won't Break (Я не сломаюсь), которую написали Леонид Гуткин, Нетта Нимроди и Арье Бурштейн (авторы Flame Is Burning) пройдет в вечернем Московском выпуске примерно в 22:20 по Московскому времени. Александр Рыбак представит Норвегию с песней That's How You Write A Song. Запись шоу вы можете увидеть >здесь. Беньямин Ингроссо представит Швецию с песней Dance You Off. Запись шоу можете увидеть здесь. Группа The Humans прибыла в Берлин для продвижения своей конкурсной песни на Берлинской Туристической Ярмарке. Представители Румынии на Евровидении, The Humans, дадут выступление на Туристической Ярмарке в Берлине. Оно пройдет сегодня, в субботу 10го марта в 17:00 Москвы на румынском стенде - и станет первым этапом международного промо-тура группы. Дополнительная информация - страница Румынии. Премьера конкурсной песни представительницы России Юлии Самойловой пройдет завтра в программе Воскресное Время, которая начнется в 21:00 Москвы. "Это не просто нежная баллада, а песня со стержнем, она прямо про меня, обо мне и я себя в ней чувствую настоящей"
Телеканал RTP 1 готовит в понедельник, день встречи глав делегаций, 5 часовое ток-шоу, посвященное подготовке к конкурсу Евровидение. Оно выйдет в эфир с 13:00 до 15:15 Москвы с ведущими Sónia Araújo и Jorge Gabriel, и с 17:45 по 20:30 с Tânia Ribas de Oliveira и José Pedro Vasconcelos. Во время эфира будут проходить прямые включения и интервью с главами делегаций, присутствующими в Лиссабоне, а также раскрыты некоторые секреты подготовки к конкурсу. Специальными гостями станут представители Португалии Клаудиа Пашкуал и Изаура. Дополнительная информация - страница организации конкурса. В своей конкурсной открытке представитель Нидерландов Уэйлон отведал Паштел-де-ната - традиционный португальский десерт в виде чашечек из слоёного теста с заварным кремом. Съемки посткарда Нидерландов прошли в Замке Святого Георгия в Лиссабоне, и ресторане Casa do Leão, расположенном внутри него. Уэйлону пришлось научиться готовить традиционные португальские паштелы. Замок Святого Георгия - национальный памятник и одна из главных достопримечательностей Лиссабона, откуда открывается наилучший вид на реку Тежу и город. Замок, построенный в середине 11го века, был серьезно реконструирован в 1938-1940е годы. Дополнительная информация - страница Нидерландов. Матт Нормет: Приоритет для нас - сохранить номер Элины с финала Eesti Laul. На этой неделе за круглым столом прошла первая встреча членов делегации Эстонии, обсудивших планы подготовки Элины Нечаевой к выступлению в Лиссабоне. Главный продюсер Eesti Laul Март Нормет рассказывает, что во вторник, после длительных дискуссий, творческая команда проекта пришла к выводу, что приоритетом будет сохранение номера, с которым Нечаева победила на Eesti Laul и завоевала сердца эстонских зрителей. "Мы также опросили наших коллег из других стран, и они тоже высказались за сохранение того же шоу", говорит Нормет. Однако, окончательные детали будут зависеть от стоимости реализации этого номера на сцене в Лиссабоне. По словам Нормета, это обойдется намного дороже, чем в Эстонии, поскольку дома было возможно найти низкие расценки через друзей и знакомых. Потому, потребуются значительные дополнительные расходы. Эстонская команда также будет искать помощь у профессионалов из-за рубежа для подготовки сценического выступления. Перед Евровидением в мае, Нечаеву ждет очень напряженный график. Она уже отбыла в Финляндию для мастерклассов, вскоре вернется в Пайде, затем отправится в Париж на курсы, вернется в Дворец Кадриорг, и затем поедет в США. "Ее наиболее важная роль в подготовке - концентрация на собственном вокале. Важнее всего репетировать исполнение данной конкретной песни, чтобы это было еще лучше и естественнее, исходило от самого сердца"
Дополнительная информация - страница Эстонии. Участница Евровидения 2018 и самый узнаваемый, мультиплатиновый разноплановый артист Австралии, Джессика Маубой, на этой неделе оживила интернет, поскольку тизеры ее новой конкурсной песни Евровидения распространились, как лесной пожар. Сегодня выпущенная на мировом уровне, песня #We Got Love - это эмоциональный, вдохновляющий и мощный гимн. Джессика Маубой говорит: "Мне нравится конкурс песни Евровидение. С тех самых пор, как я была маленькой девочкой, наблюдавшей за ним с семьей в Дарвине. Я хотела написать песню, которая бы передала инстинктивное чувство радости о том, как хорошая песня может изменить самые мрачные настроения в счастье. #We Got Love также рассказывает о том, как музыка может поднять человеческий дух. Вы всегда можете подняться на ноги в самые трудные времена с чем-то таким простым, как отличная песня. Евровидение, для меня, это люди, собравшиеся благодаря настоящей любви к музыке и всей радости, которую может принести музыка. Я не могу дождаться, чтобы исполнить эту песню вживую в Португалии и увидеть, как она будет воспринята глобальной аудиторией в такое особое время"
#We Got Love позволит Джессике продемонстрировать все свои вокальные возможности и электрическую энергию на сцене арены в Лиссабоне. Майкл Эбейд, управляющий директор SBS, говорит: "SBS транслирует конкурс Евровидение австралийцам уже в течение 35 лет, но Джессика впервые представила наших талантливых исполнителей на мировой арене в 2014 году, став первым неевропейским сольным исполнителем на нем. Она поразила глобальную аудиторию и продемонстрировала, что собой представляет Австралиа, - и SBS радо вновь пригласить ее на Евровидении - на этот раз, чтобы сразиться за славу конкурса. В основе Евровидения лежит празднование разнообразия через музыку - универсальный язык, который выходит за рамки культуры - и "#We Got Love" действительно резонирует как песня о преодолении барьеров и объединении людей". Денис Хандлин, председатель и главный исполнительный директор Sony Music Entertainment по Австралии и Новой Зеландии, президент по Азии говорит: "Джессика - выдающаяся австралийская исполнительница, которая, без сомнения, привлечет внимание всего мира и сердца Европы, с блестящей песней, которую она написала вместе с продюсерами DNA Songs "#We Got Love". Будучи избранной в 2014 году, чтобы стать первым, кто бы продемонстрировал австралийский талант на Евровидении, она подчеркнула свои удивительные способности мирового класса. Все мы в Sony Music рады сотрудничеству с Майклом Эбейдом и SBS, а также Полом Кларком и Blink TV, чтобы представить Джессике эту прекрасную возможность снова продемонстрировать свой невероятный талант на Евровидении". Пол Кларк, глава делегации Австралии и директор Blink TV, партнер SBS по Евровидению, говорит: "В первый раз, когда мы взяли Джессику на Евровидение, мы действительно надеялись, что сможем вернуться с ней снова, уже в качестве участницы. #We Got Love - это кульминация этого четырехлетнего плана, и эта песня так соответствует ее прекрасному соул голосу. Это - песня веры и преодоления статус-кво, и мне нравится ее страсть. Я уверен, что она поднимет настроение в вашем сердце. Мы надеемся, что вам понравится выступление Джессики, и, что Европа также объединится вокруг ее и песни "#We Got Love"
#We Got Love написана австралийскими хитмейкерами DNA SONGS - Давидом Мусумечи и Энтони Эджайзи в сотрудничестве с Джессикой. DNA Songs также работали над треком Дами Им на Еврвидении 2016 "Sound of Silence", с которым певица заняла второе место, и "Don't Come Easy" Исайи, которая вошла в десятку лучших на Евровидении в 2017 году. Дэвид Мусумечи и Энтони Эджайи из DNA Songs говорят: "#We Got Love - это песня о единстве и напоминание о том, что любовь, принятие и сила инклюзивности могут преодолеть все препятствия или трудности, которые возникают. Особенно в такие времена, когда мир может быть очень запутанным и одиноким местом, важно помнить, когда мы чувствуем себя лишенными прав и возможностей, что у нас все еще есть большой шанс для перемен при помощи любви. Джессика Маубой много лет была другом и коллегой, и мы так рады снова работать с ней вместе на конкурсе песни Евровидение 2018 года. У нас абсолютная вера в Джессику, и мы не можем дождаться, когда и вся Австралия будет гордиться ей"
#We Got Love выпущена по всему миру и теперь доступна для потоковой передачи и загрузки, она также будет доступна в качестве физического компакт-диска 11 мая на лейбле Sony Music Entertainment Australia. Дополнительная информация - страница Австралии. 3 марта 2018 года песня Джессики #whoweare выиграла 1in360, шоу талантов, направленное на поиск "интернет-кандидата" и официального представителя Сан-Марино на Евровидении-2018. Ее поддерживает 21-летняя немецкая певица Дженифер Бренинг, которая исполняет роль featured-артиста. Мощная вокалистка сама по себе, она удивила аудиторию, когда ​​вступила на позицию рэпера в последнюю минуту, чтобы заменить Сан-Маринского исполнителя Ирола, который ранее читал рэп в этой песне. Незадолго до финала, Ирол сообщил Джессике, что он отказывается от участия в песне из-за творческих различий. #whoweare - это гимн против запугивания и издевательств, продиктованный личным опытом Джессики. В соавторстве с Дженифер они описали борьбу любого, кто в какой-то момент своей жизни подвергался издевательствам и унижению, будь то в школе, на рабочем месте или в социальных сетях. Хотя она конкретно не говорит об сексуальных домогательствах, однако песня приобретает особое значение в 2018 году, в то время, когда фасад укоренившихся, зачастую доминируемых мужчинами, силовых структур во всем мире подвергается тщательному пересмотру. Но вместо того, чтобы назначать виновного, песня предлагает положительный унифицирующий посыл. В течение следующих десяти недель Джесс и Джен будут участвовать в беговых соревнованиях по всей Европе, чтобы собрать деньги для борьбы с запугиванием и издевательствами. Поклонники смогут пожертвовать каждому забегу #whoweare и встретиться с артистами на мероприятиях. Квест достигнет высшей точки в пробеге #whoweare в Лиссабоне, организованном 1in360, который пройдет между 1 мая и 12 мая (подробности будут сообщены позже). На финишной черте артисты передадут чек на деньги, которые они соберут в Diana Award - благотворительную акцию, поддержанную Королевским благотворительным форумом герцога и герцогини Кембриджской и принца Гарри, посвященного вере принцессы Уэльса в то, что молодые люди смогут изменить мир. В качестве преподавателя Джессика принимала участие в различных инициативах по борьбе с издевательствами, в том числе, в последнее время, eConfidence, финансируемом ЕС исследовательском проекте по серьезным играм (то есть видеоиграм, специально разработанным для образовательного сектора) и поведению молодых людей связанных с издевательствами и безопасным использованием Интернета. Присоединяйтесь и помогите Джесс и Джен распространить любовь, участвуя в одном или нескольких забегах #whoweare. Дополнительная информация - страница Сан-Марино. Австрийская конкурсная песня "Nobody But You" была представлена сегодня прессе в телецентре ORF на специальной пресс-конференции. Ее радиопрезентация пройдет завтра в 9:10 утра по Московскому времени в программе "Ö3-Wecker". Кроме того, репортажи будут транслироваться на "ZiB 24" в сегодняшнем и завтрашнем "Guten Morgen Österreich", "ZiB" в 9:00 часов, "Mittag in Österreich" и "Zeit im Bild" на ORF 2. Сезар Сампсон: "Результат раскрывает меня, как исполнителя, и может быть отлично показан на сцене Евровидения. "Nobody But You - невероятно сбалансированная песня, отражающая, с одной стороны, мою душу и мою историю, а с другой стороны, позволяя слушателям погрузиться в нее"
Эдгар Бем: "Сезар Сэмпсон - опытный музыкант и артист, который уже получил большой опыт на международной сцене конкурса. В этом году он выходит на ринг со своей песней, рассказывая свою историю и будет представлять Австрию в Лиссабоне. Решение сделать выбор в пользу этого исключительного артиста было легким для нас, и мы, безусловно, отправляем профессионального представителя Австрии в его лице". Стефан Зехнер: "Конечно, наша цель - выйти в финал, но и показать на самом большом телевизионном музыкальном событии в мире, как и в предыдущие годы, что на австрийской сцене поп-музыки очень много талантливых молодых артистов. В лице Сезара мы нашли артиста, который может соревноваться на международном рынке. Он и его команда были вовлечены в различные функции конкурса песни в последние годы. Я рад, что Сезар начинает свою музыкальную карьеру в качестве представителя Австрии"
Эберхард Форчер: "Сезар Сампсон был идеальным выбором для нас. Харизматичный певец в сочетании с успешной командой по написанию песен - кроме того, песня, которая не прилипает к поклоннику с ломом, а звучит современно и интегрирует в поп-композицию элементы соула, госпела, блюза и рока. Мы с оптимизмом ждем конкурса". Сезар Сэмпсон представляет Австрию в Лиссабоне с очень личным треком: "Для меня эта работа означает завершение огромного круга - то, что до сих пор у меня не было ни сольного релиза, ни видеоклипа, ни в коем случае не совпадение. В этой песне показан путь, по которому я прошел, как артист до настоящего момента в своей истории. Что касается моих чувств по поводу этой песни, они походят на освобождение тайны и в то же время крещение корабля"
Дополнительная информация - страница Австрии. В прошлом году в Israel Calling 2017 приняли участие 28 стран. Мероприятие получило огромный успех и ярко показало Израиль в европейских СМИ и социальных медиа, а участвующие артисты стали новыми послами Израиля в своих странах. Уже третий год подряд 8-11 апреля артисты - участники Евровидения 2018 года прибудут в Израиль на специальное промо-мероприятие, которое будет предварять сам международный конкурс. Проект "Израиль Зовет", инициированный и созданный Тали Эшколи, проходит благодаря помощи и спонсорству Министерства иностранных дел, Министерства Иерусалима и наследия, Министерства туризма, ККЛ, Муниципалитета Герцлии и муниципалитета Тель-Авива - принимающего города. Как и в предыдущие годы, мероприятие будет проходить в течение четырех дней, за которые артисты и гости поближе узнают Израиль: посещение святых мест Иерусалима, а также старой и новой частей города, где их будет приветствовать министр Иерусалима и наследия, г-н Зеев Элькин, в мероприятии с участием предыдущих представителей Израиля на Евровидении. Красная ковровая дорожка вновь пройдет в Марине Герцлии вместе с послами стран-участниц, представителями правительственных офисов и VIP-персонами. Пресс-конференция для местных и иностранных СМИ будет проведена прямо перед тем, как артисты высадят деревья в лесу Евровидения, расположенном в "Президентском лесу", при поддержке KKL. Изюминка мероприятия состоится во вторник, 10 апреля, когда живое шоу мини-Евровидение пройдет перед израильской аудиторией. Во время шоу артисты выступят со своими конкурсными песнями для предстоящего Евровидения. Закрытие мероприятия Israel Calling - это флотилия яхт на побережье Израиля. Как и в прошлые годы, делегации будут сопровождать журналисты из своих стран, операторы национальных вещателей, операторы Европейского вещательного союза и ведущие журналисты, которые пишут о конкурсе песни Евровидение. Они будут документировать пребывание артистов в Израиле и сообщать о своих впечатлениях от визита в эту страну. На официальной странице Facebook запущен конкурс "Израиль зовет тебя". Поклонники Евровидения со всего мира смогут принять участие в конкурсе, в котором им нужно выложить видеоролик, рассказывающий о себе и почему они хотят приехать в Израиль. Победитель получит двойной VIP-пакет для поездки на Israel Calling 2018, который включает в себя перелеты, проживание в гостинице вместе с артистами и участие во всех мероприятиях, в том числе в прямоэфирных. Уже свыше 25 стран подтвердили свое присутствие на мероприятии, и число участников растет каждый день. Полный список участников будет опубликован шаг за шагом в ближайшие дни. Подробнее о вечеринке читайте здесь. Представитель Украины MELOVIN рассказал ESCKAZ о ревампе его песни, сделанном Евгением Филатовым, а также на каких промо-мероприятиях перед конкурсом он побывает. Дополнительная информация - страница Украины. В своей центральной программе новостей Dnevnik сегодня хорватское радио и телевидение (HRT) представит официальный видеоклип на песню Crazy, с которой Франка Бателич будет представлять HRT и Республику Хорватию на 63-м конкурсе песни Евровидение в Португалии в мае в этом году. Интервью с Франкой Бателич выйдет в третьем выпуске Dnevnik, в нем популярная певица расскажет больше о ее подготовке к Евровидению. Официальное видео будет также представлено в завтрашнем выпуске шоу "Доброе утро, Хорватия" и на сайте HRT hrt.hr и eurosong.hrt.hr. Франка Бателич также выступит завтр гостьей на канале хорватского радио (HRT - HR 2) и на местных радиостанциях HRT. Релиз официального видео пройдет менее чем через неделю после того, как хорватской публике был представлен тизер песни. Франка Бателич написала ее текст, а музыку - Бранимир Михалевич. Денис Мевля сыграл большую роль в создании песни, и микс выполнени в лондонской студии Metropolis, где работали такие звезды, как Адель, Эми Уайнхаус, Лана Дель Рей и многие другие. Окончательная обработка песни была выполнена лондонской легендарной студией Abbey Road. Дополнительная информация - страница Хорватии. Дженифер Бренинг не только будет читать рэп, но и споет небольшую часть в конкурсной песне Сан-Марино. Прошла официальная фотосессия предствителей Грузии Iriao. Фото, которые будут размещены на всей конкурсной промо-продукции, создал Гиорги Цанава. Съемки видеоклипа на конкурсную песню "Sheni gulistvis" начнутся завтра в Сагурамо. Режиссер клипа Заза Ораашвили. В видео также будут задействованы танцоры "Эрисиони". Автор конкурсной песни - Давид Малазония, аранжировка Михаила Мдинарадзе, автор текста Ирина Саникидзе. Впервые на Евровидении прозвучит песня на грузинском языке. Дополнительная информация - страница Грузии. Представлен тизер видеоклипа Испании. Презентация полной версии пройдет 9 марта в прайм-тайм шоу телеканала La1 , которое проведет Роберто Леал. В программе примут участие Амайя и Альфред, которые расскажут о своей подготовке к конкурсу. Саара Аалто исполнит в Лиссабоне песню Monsters. Запись шоу можно увидеть здесь. Margaret, Renaida, Felix Sandman и Mendez присоединяются к числу финалистов Melodifestivalen. Смотрите запись шоу здесь. Элина Нечаева представит Эстонию с песней La Forza. Смотрите запись шоу: Часть 1 (русский), Часть 2 (русский). Ари Олафссон представит Исландию с песней Our Choice. Запись программы можно увидеть здесь. Джессика feat. Дженифер Бренинг представят Сан-Марино с песней Who We Are. 23:30 Москвы, Польша, Национальный отбор, Финал, TVP1, TVP Polonia, онлайн. Gromee feat. Lukas Meijer представят Польшу с "Light Me Up". Смотрите запись шоу здесь. Айсель будет исполнять песню "X My Heart" на конкурсе песни Евровидение в Лиссабоне. Песня написана известным греческим композитором / продюсером Димитрисом Контопулосом и шведским автором текста Сандрой Бьюрман. Оба автора уже имеют большой на Евровидении: Димитрис Контопулос выиграл голосование телезрителей в 2016 году с "You Are The Only One", а Сандра Бьюрман выиграла конкурс песни Евровидение в 2011 году с "Running Scared". Песня была спродюсирована Димитрисом Контопулосом и Тимом Бреном, человеком, стоящим за песней "City lights", бельгийской заявкой в 2017 году, который также работал с несколькими известными исполнителями, такими как The Verve, London Grammar, Birdy, Halsey, Bloc Party и др. "X My Heart" была записана в Лондоне, и микс песни создал Эш Хоус, международно признанный за его микс-работу с One Direction, Dido, The Corrs, Ellie Goulding и многими другими. Фокас Евангелинос, легендарный греческий режиссер, будет работать с Айсель над созданием ее выступления. Фокас отвечал за некоторые из самых запоминающихся номеров в истории конкурса песни Евровидения, такие как победные акты Хелены Папаризу и Димы Билана, занявших второе место Ани Лорак и Фарид Мамедов и, конечно же, сценическую презентацию Сергея Лазарева, который в 2016 году выиграл голосование зрителей. "Х My Heart" - была моей любимой песней с первого момента, когда я ее услышала. Музыка дала мне позитивное, ободряющее чувство, когда я исполняла ее, и это позволило мне наслаждаться каждой секундой, проведенной в студии. Я чувствую сильную связь с текстом песни, так как вера в себя заставила меня преодолеть несколько трудностей, которые у меня были в жизни. Это посыл, который я хочу отправить всем: вера в себя может сделать вас "сильнее, чем пушечные ядра". Мне также нравится, как Сандра Бьюрман сыграла с моим именем, так как "Айсель" на азербайджанском языке означает "Путь луны". Наконец, я очень рада работать с такой международной командой. Профессионалы из Азербайджана, Греции, Великобритании, Швеции, Кипра, Португалии, России, Украины все вместе работают над этим треком. Для меня это и есть Евровидение: конкурс, который объединяет людей по всей Европе через музыку. Я очень горжусь тем, что представляю свою страну на этом мероприятии"
Дополнительная информация - страница Азербайджана. AISEL представит свою конкурсную песню 4го марта в 14:00 Москвы. С ноября по февраль певица побывала в различных странах Европы, чтобы найти для себя подходящую конкурсную композицию. Поиск провел ее через песни на азербайджанском языке с этническими элементами до джазовых и мэйснстрим поп песен. Работая вместе с музыкальными экспертами своей страны и зарубежа, Айсель сузила поиск до трех песен, которые ей пришлись по душе больше всего. После того, фокус группа из 300 человек из 31 страны по всей Европе оценила конкурсные треки. Никто из задействованных участников не знал, кто исполнитель или для чего будут использованы эти песни, они лишь должны были выбрать лучшую песню. Победившая песня, собравшая 87% лайков и представит Азербайджан на Евровидении 2018. Съемки посткарда представительницы Азербайджана на Евровидении 2018 Айсель прошли в Регенгуш-ди-Монсараш на юго-востоке Португалии. Регенгуш-ди-Монсараш - это город с впечатляющей природной красотой, характеризующийся его равнинами, мегалитическими памятниками и гастрономией. В нем также расположено самое большое искусственное озеро в Европе - плотина Альквава. В своем посткарде Айсель обнаруживает дверь посреди равнины. Когда она входит в эту дверь, она обнаруживает ожидающий ее воздушный шар, который поднимает ее в приключение. В своем посткарде Айсель будет наслаждаться видами региона с неба. После съемки Айсель рассказала: "Мне повезло, что моя открытка была снята в этом необычном месте под названием Монсараш. Уникальное пребывание в Монсараше увенчал пролет на воздушном шаре над самым большим искусственным озером в Европе и бесконечными полями. Я должна признать, что перед полетом я немного боялась... Однако, когда мы начали его, страх исчез, и я полюбила эту замечательную поездку. И последнее, но не менее важное: команда была потрясающей, очень дружелюбной и готовой помочь! Я не могу дождаться окончательного результата"
Тем временем, как стало известно ESCKAZ съемки посткарда представительницы России Юлии Самойловой запланированы на 27-30 марта. Нетта Барзилай (Израиль) исполнит на Евровидении 2018 песню Toy (Doron Medalie, Stav Beger, Netta Barzilai, Avshalom Ariel - Doron Medalie, Stav Beger). Песни Медалие представляли Израиль в 2015 и 2016 годах. Ожидается, что премьера песни пройдет 10 марта. Барзилай будет использовать во время исполнения песни свой лупер. Уэйлон представил свою вторую потенциальную конкурсную песню Нидерландов - Outlaw in Em. Фанаты, желающие присутствовать на презентации песни в программе Muziekcafé, должны отправить e-mail с указанием своего имени, даты рождения и причины, почему именно они должны быть отобраны для этой роли на waylon@avrotros.com. Премьера песни Австрии - "Nobody But You" Сезара Сэмпсона пройдет 8го марта на пресс-конференции и 9го марта в радио-эфире, в программе Ö3-Wecker (c 7 до 11 утра Москвы). Песня Sennek будет представлена 5го марта на специальной пресс-конференции, и 6го марта в утреннем радио-эфире - скорее всего в программе De Grote Peter van de Veire Ochtendshow с 8 до 11 утра Москвы на радио MNM. Итальянская песня "Non mi avete fatto niente" достигла золотого статуса менее, чем за три недели, будучи проданной тиражом свыше 25 тысяч копий. Амайя и Альфред не только записали финальную версию испанской конкурсной песни Tu canción, но и работают над английской версией композиции, которая будет использоваться в промоционных целях. Прошла премьера тизера песни Хорватии Сrazy. Представлены конкурсные костюмы Саары Аалто для национального отбора UMK. Над каждым сценическим номером работает Брайан Фридмен, который создавал номера, помимо прочих, Бритни Спирс, Бейонс и Мэрайе Кэри, а также работал над номерами X Factor в Великобритании и США. В постановках также задействованы хореографы Лукас МакФарлейн и Рейя Вяре, в команде работают специалисты из Финляндии, США, Великобритании, Швеции и Норвегии. В песне Monsters наиболее интересно будет проследовать путь Саары из закрытой и изолированной личности до гламурного оживленного персонажа. В Monsters на сцене будет много движения, интерактива между танцорами и задником. Будет много скульптурных элементов, костюмов и декораций, которые будут использовать танцоры. Презентация Domino будет неожиданной. У баллад обычно нет таких сложных номеров, как будет у Domino. Единственный раскрытый секрет - возможно в номере Саара поднимется в воздух - или нет. Для Queens Фридман подготовил такое масштабное шоу, которого не видели даже в Британском X-Factor, и уж точно в Финляндии. Оно запомнится надолго. На сцене будет происходить множество событий и будут задействованы большие сценические конструкции. Работа танцоров и бэк-вокалистов должна быть очень четкой. Дополнительная информация - страница Финляндии.